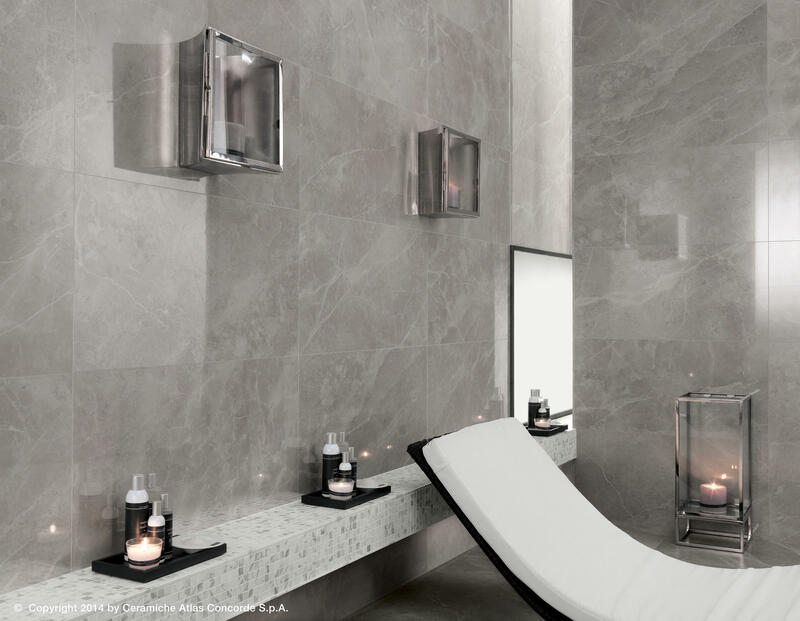 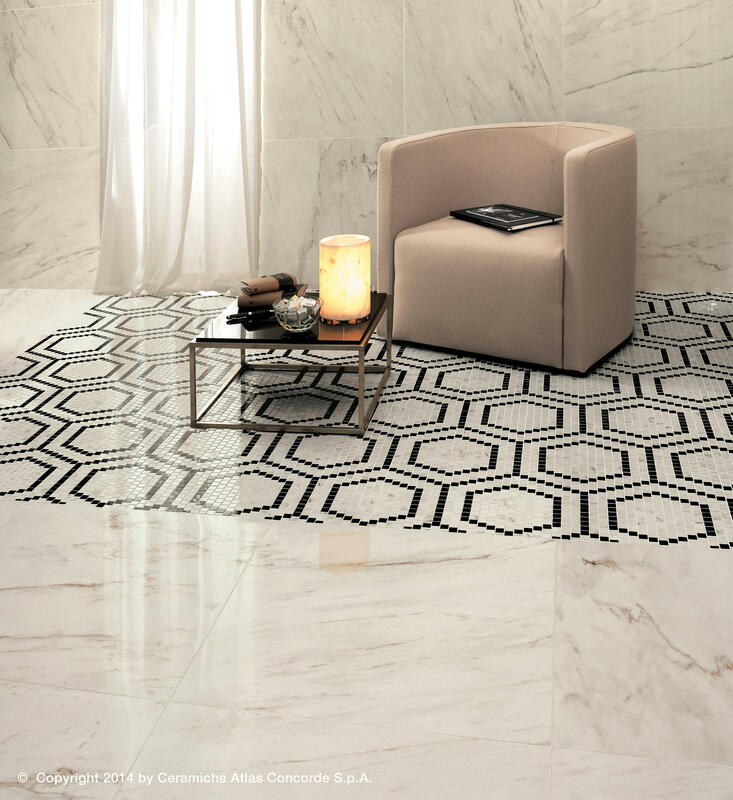 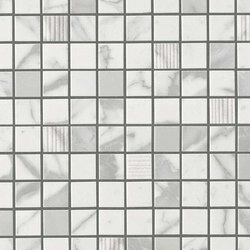 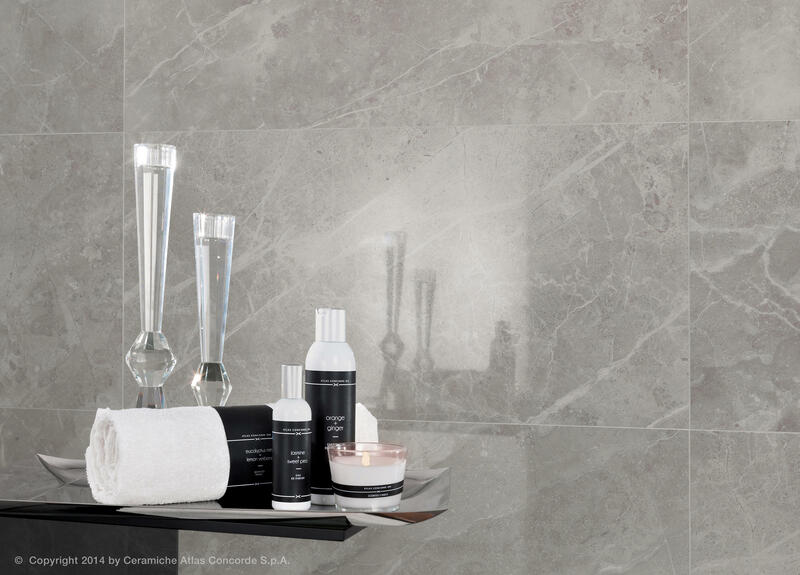 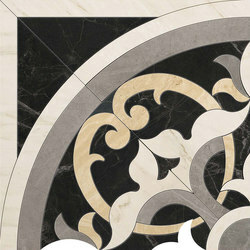 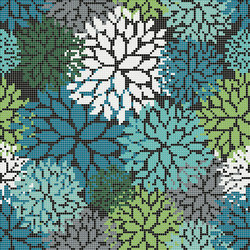 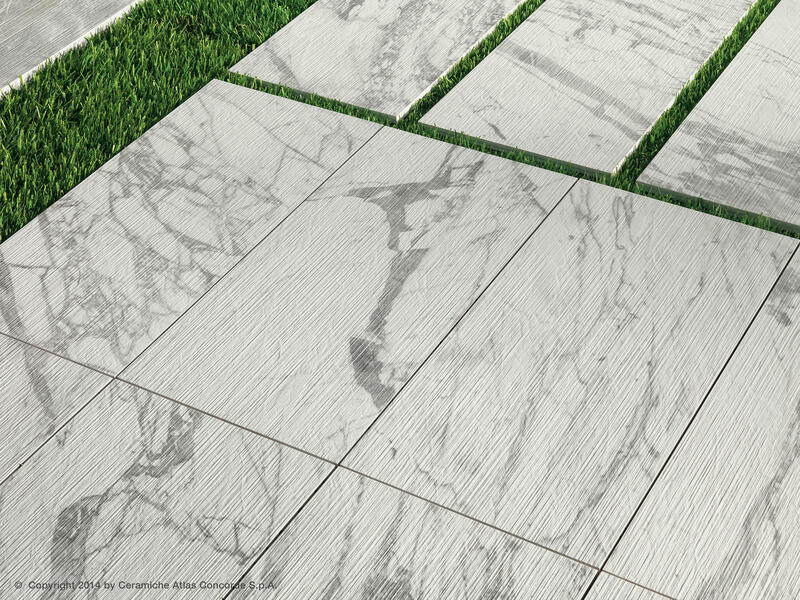 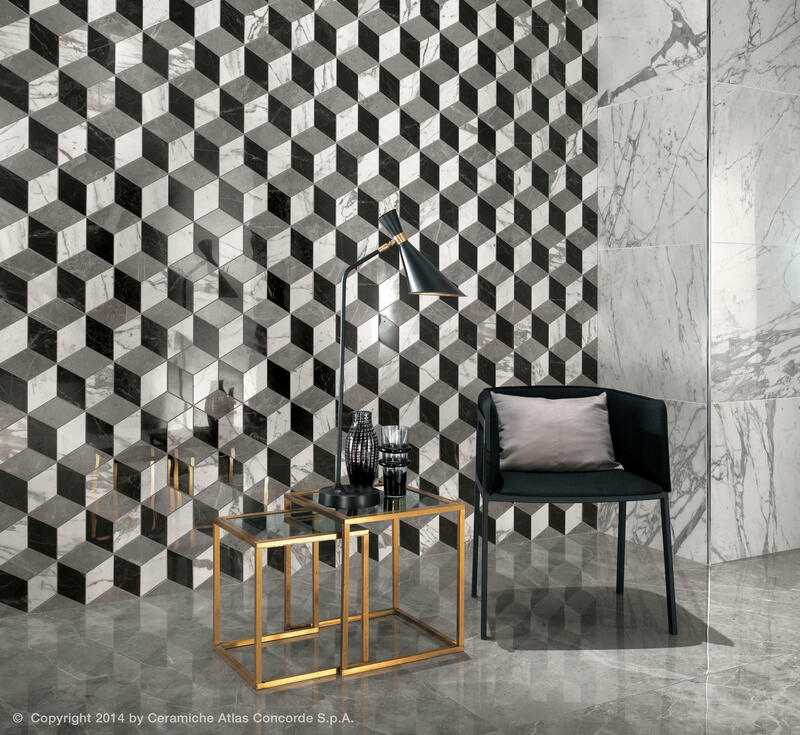 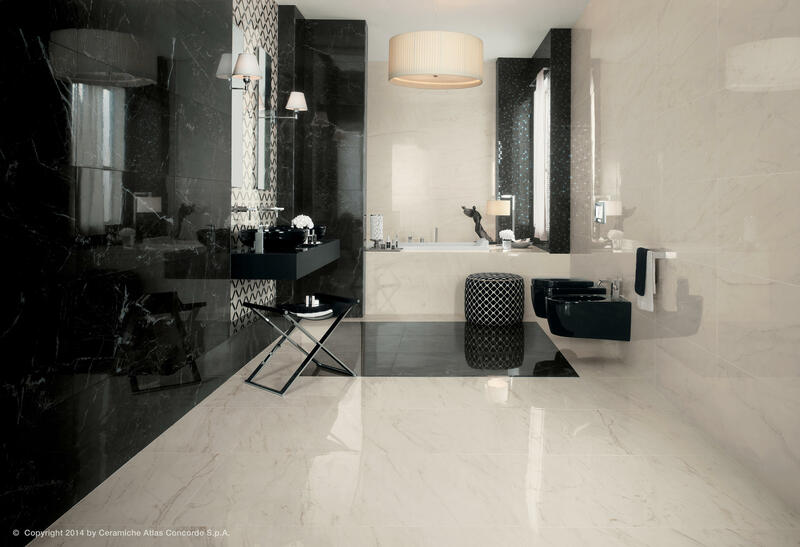 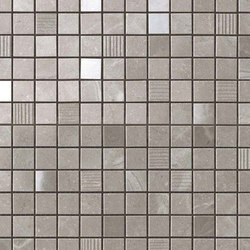 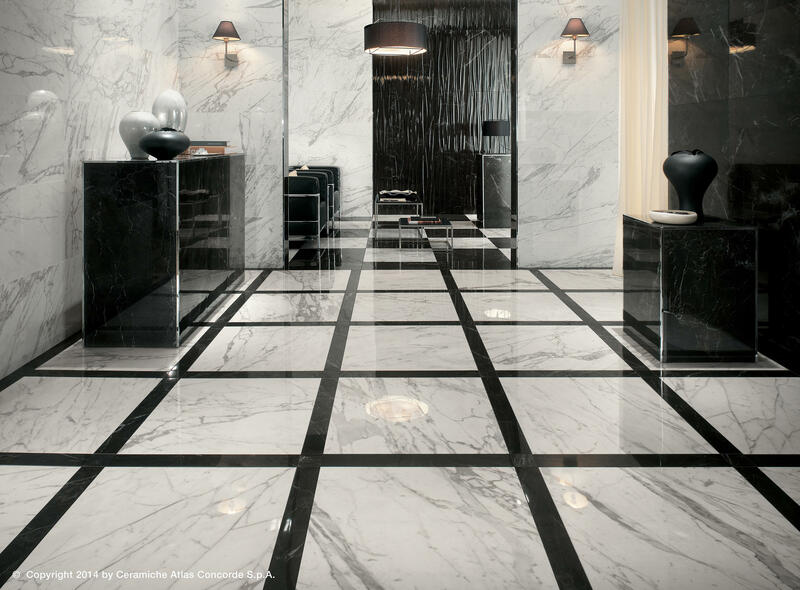 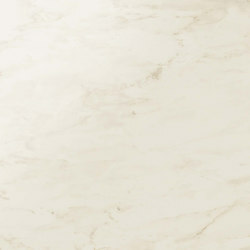 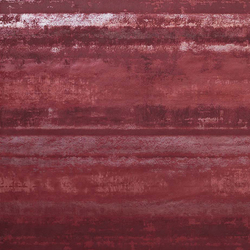 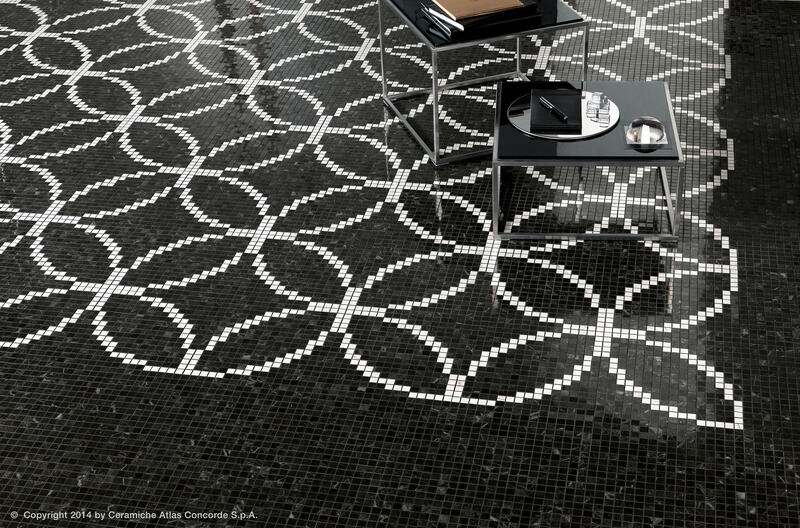 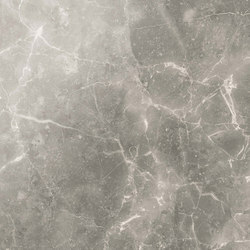 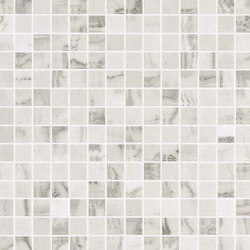 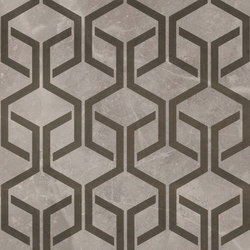 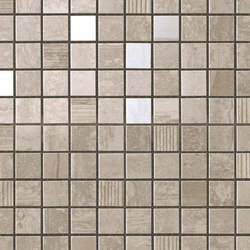 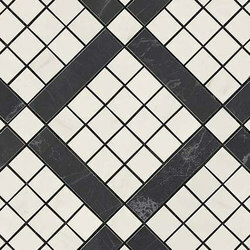 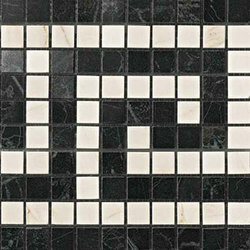 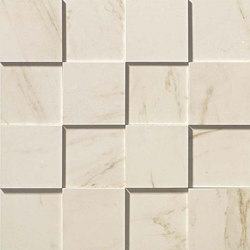 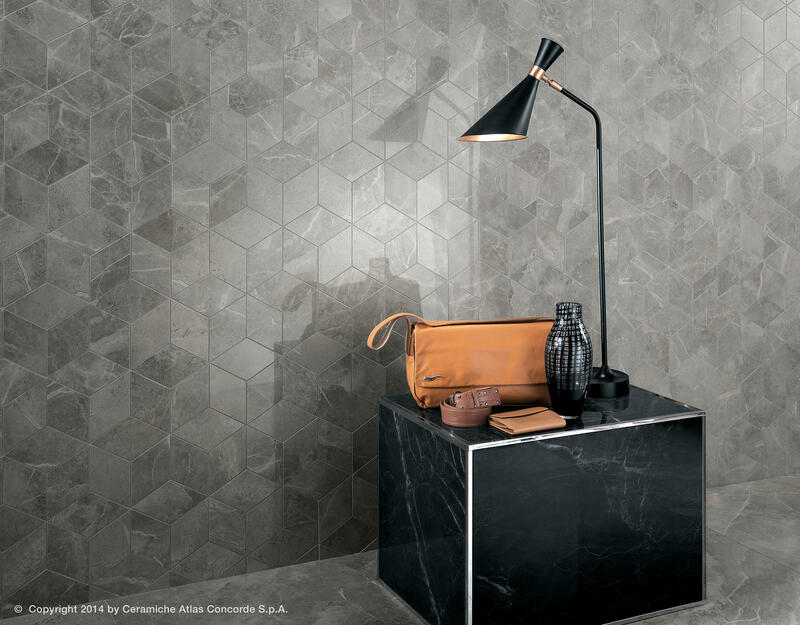 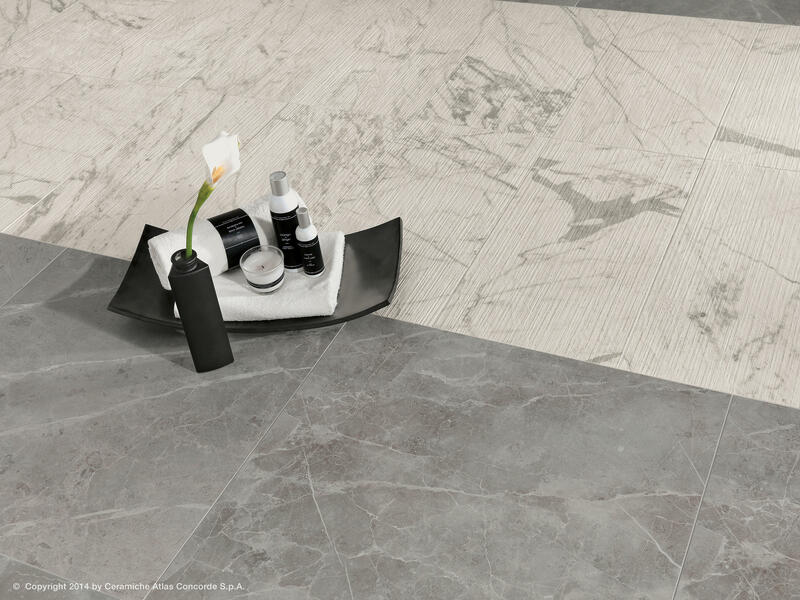 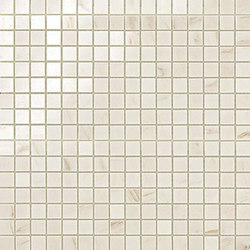 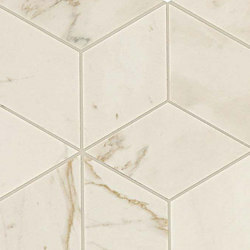 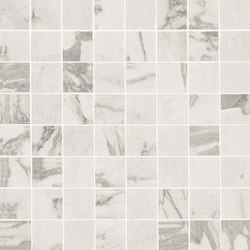 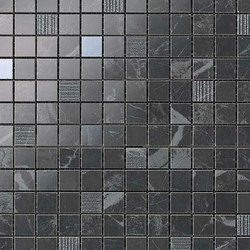 Inspired by a sought-after selection of precious marble slabs of European origin, Marvel PRO integrates and broadens the potential of the Marvel collection, creating a complete project of porcelain floors and coordinated wall tiles that faithfully reproduce natural marble and offer a broad range of graphics, sizes and surface finishes. 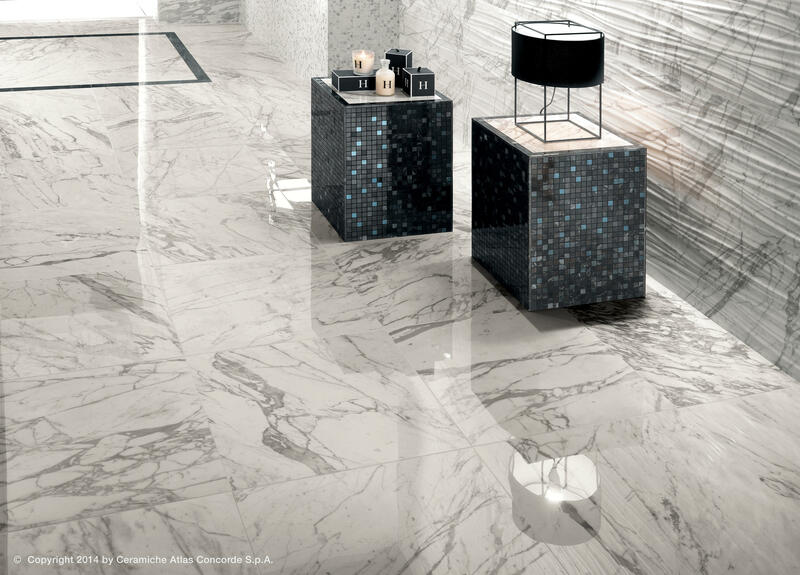 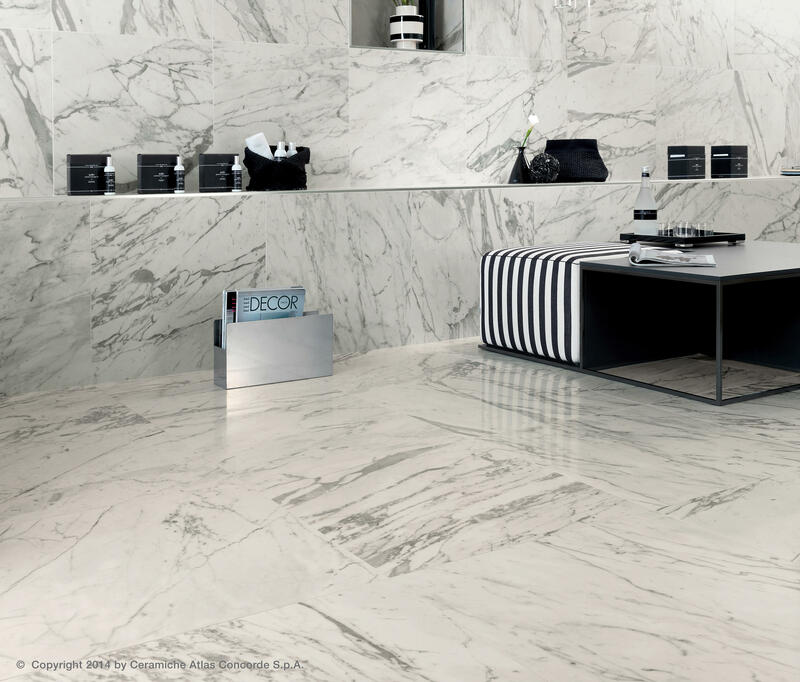 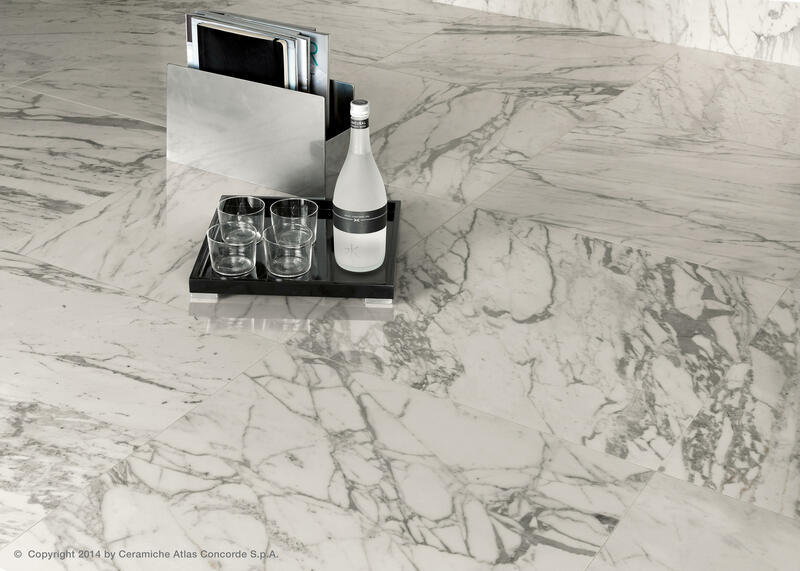 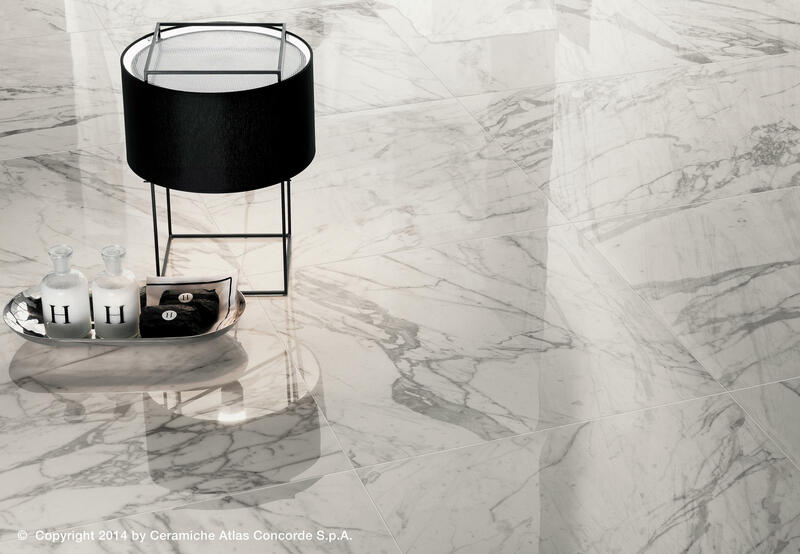 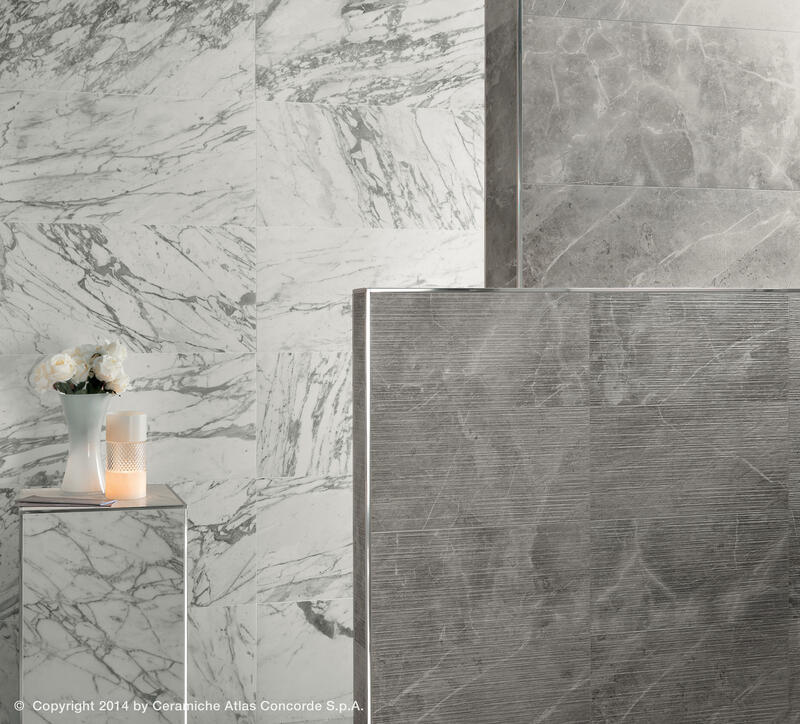 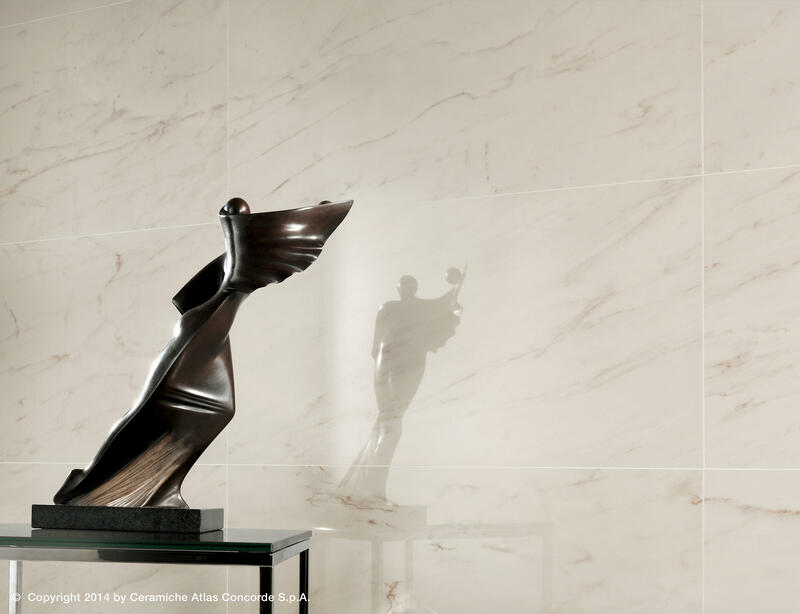 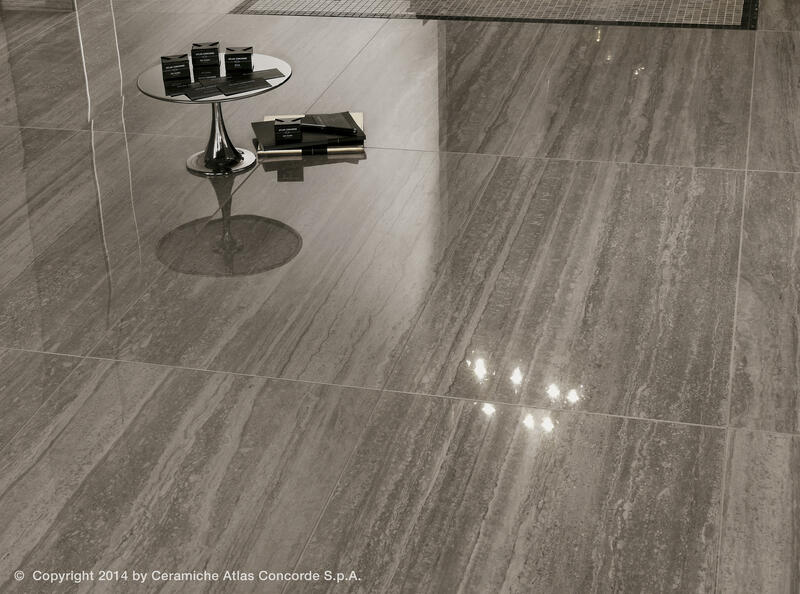 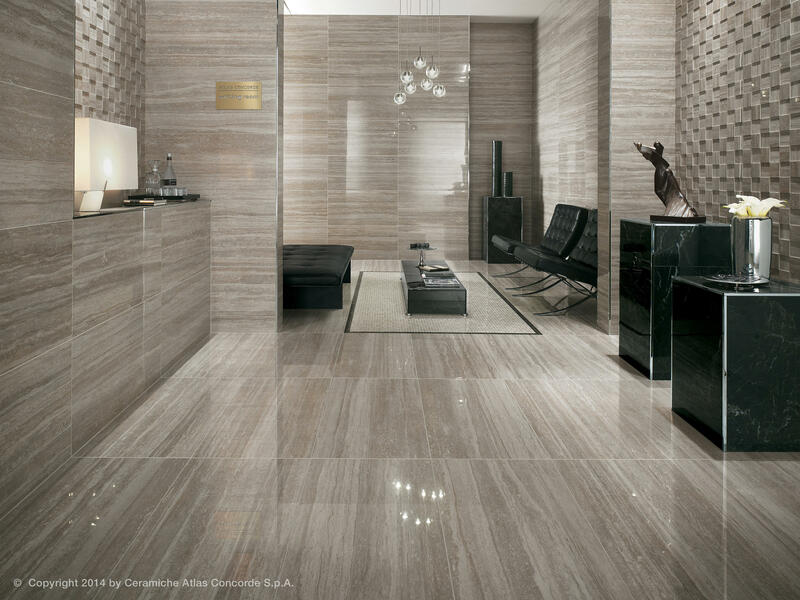 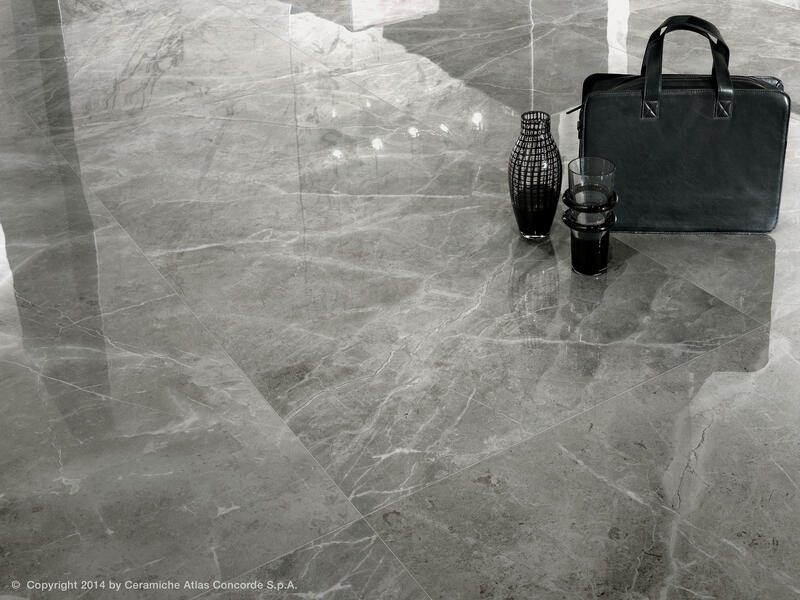 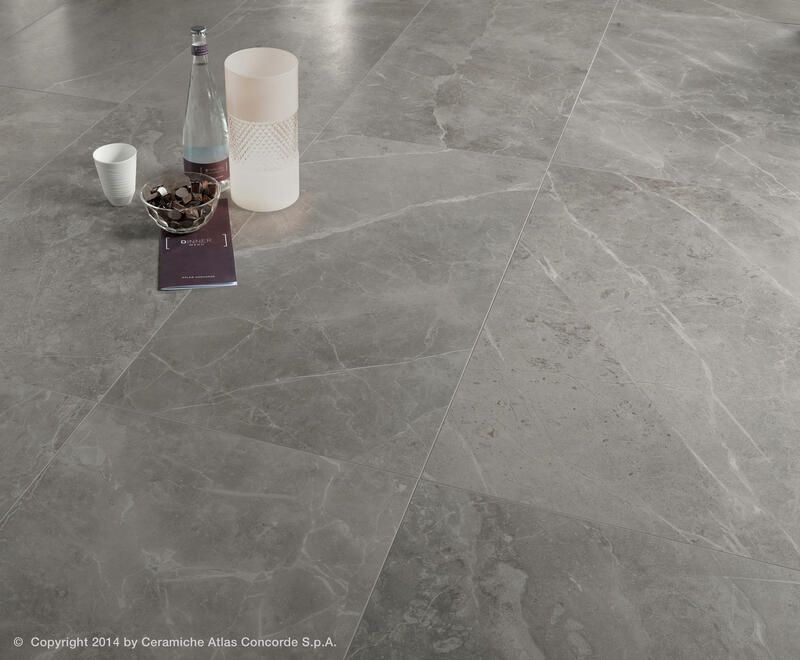 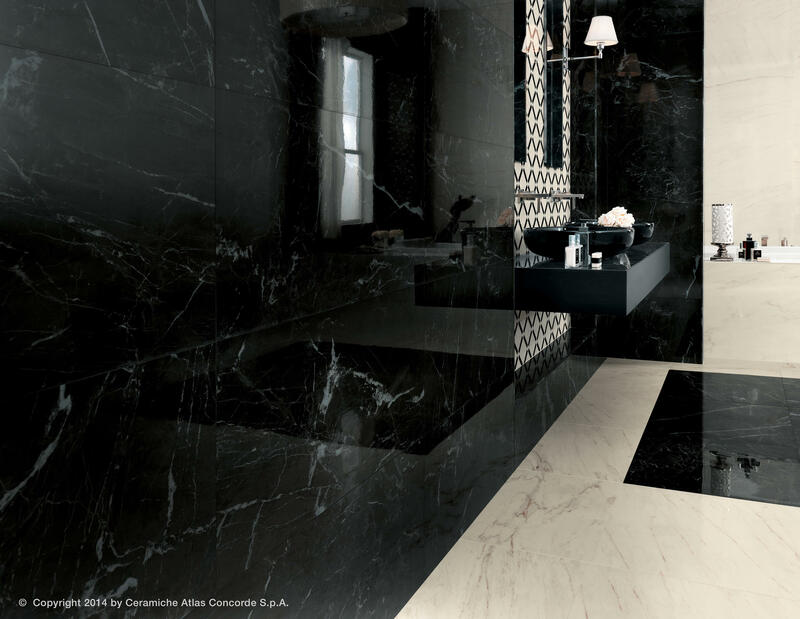 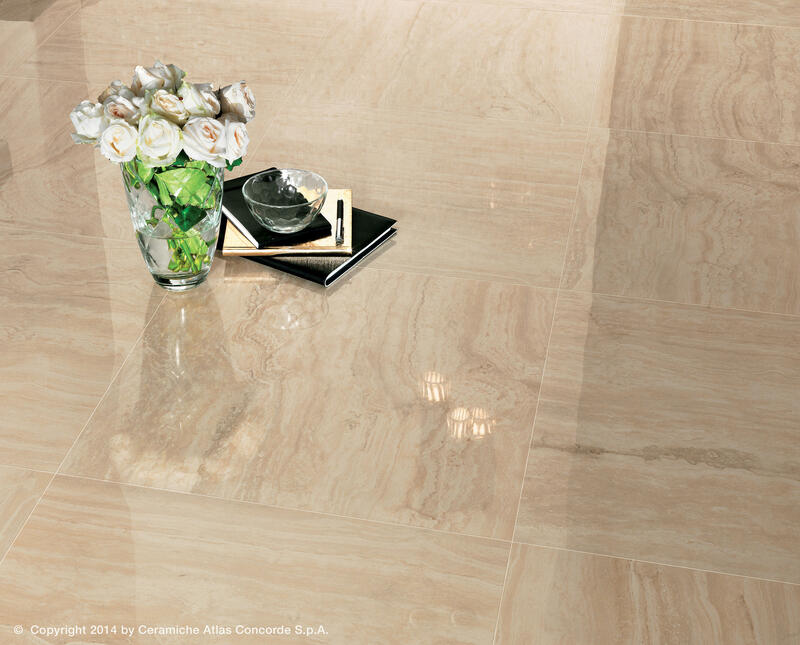 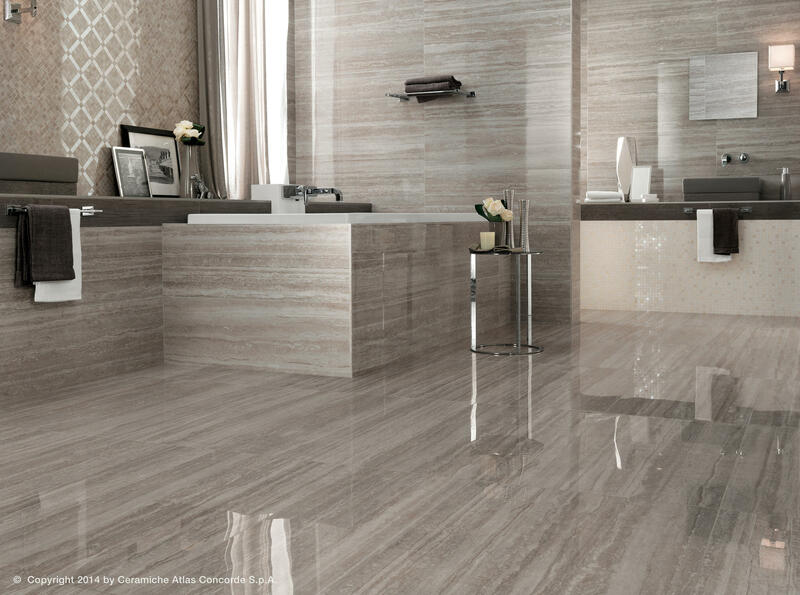 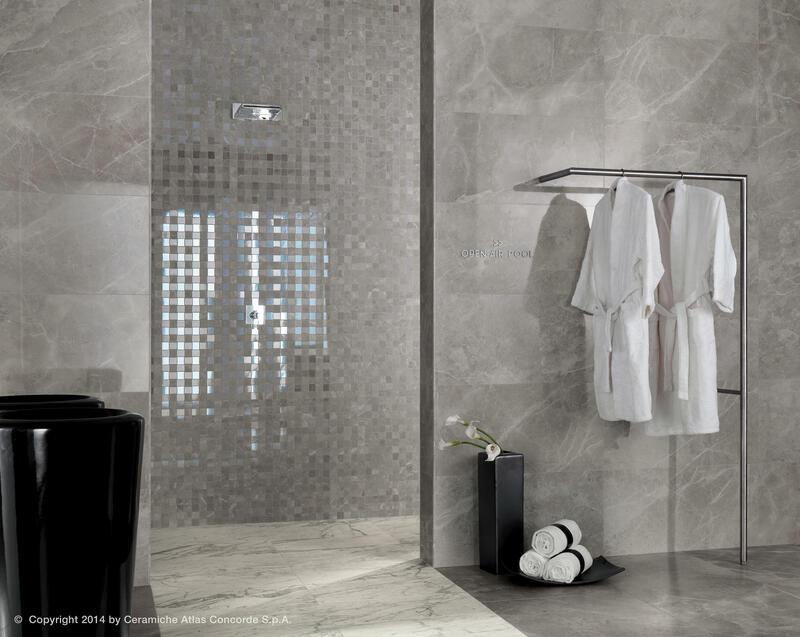 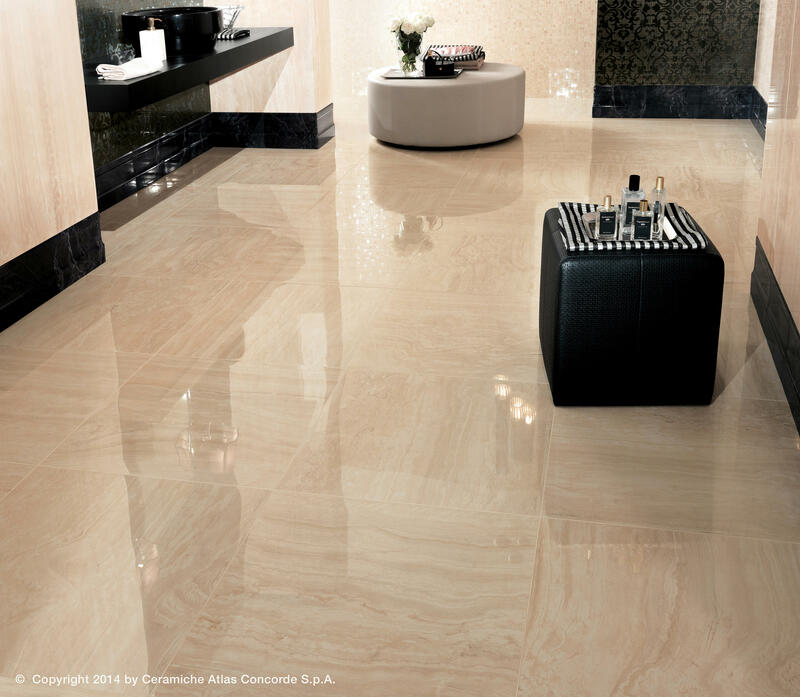 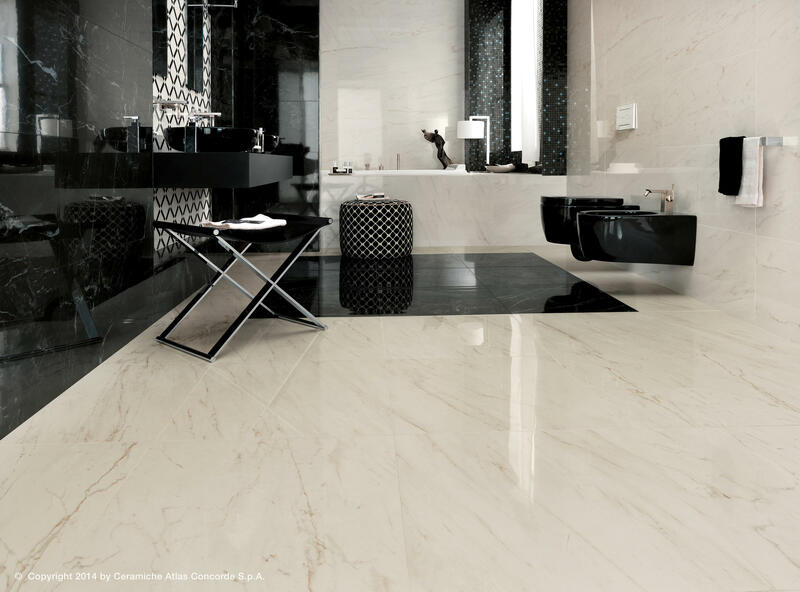 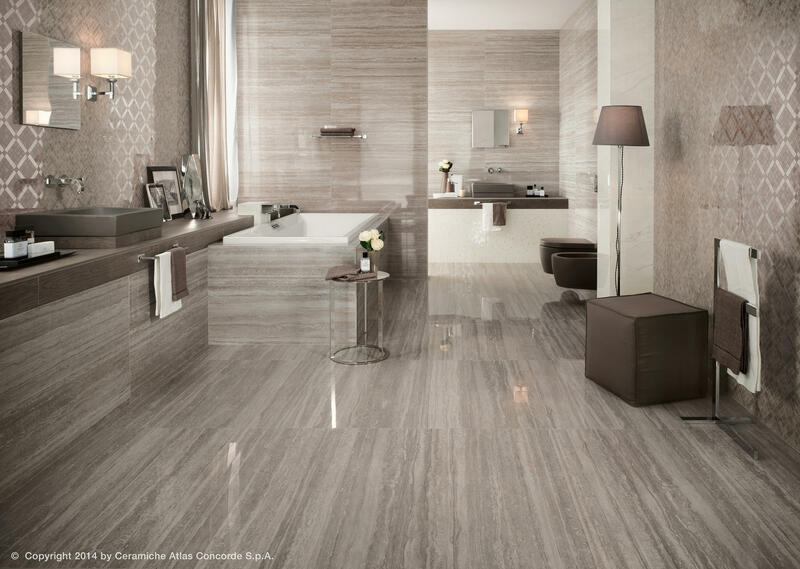 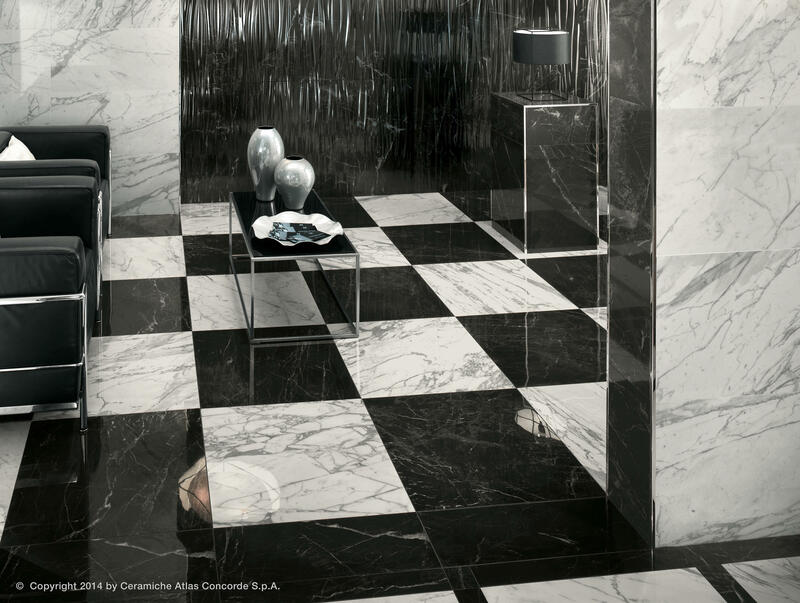 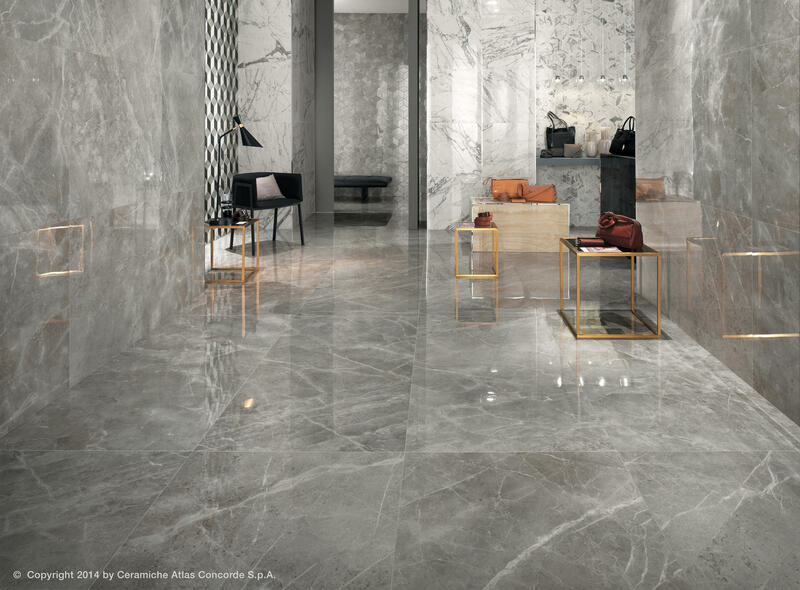 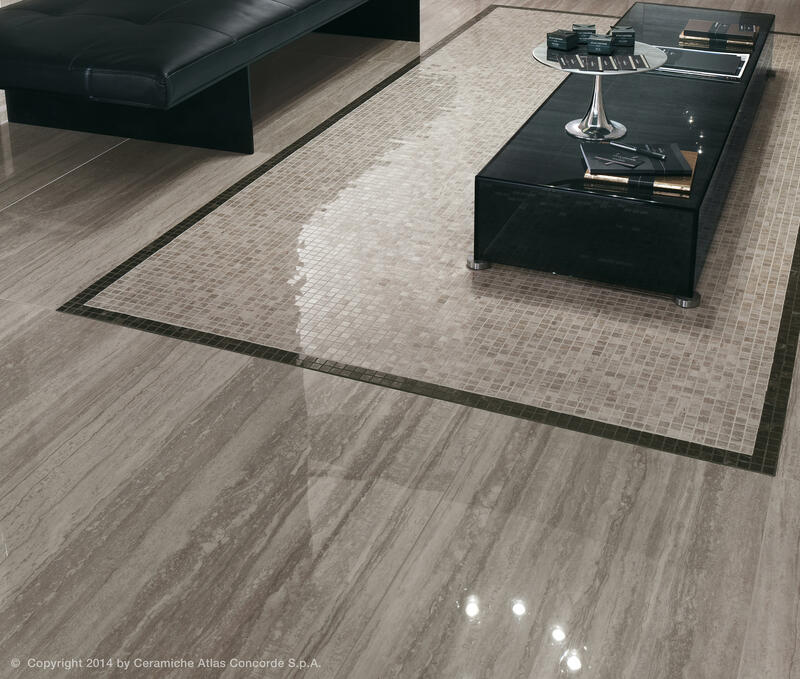 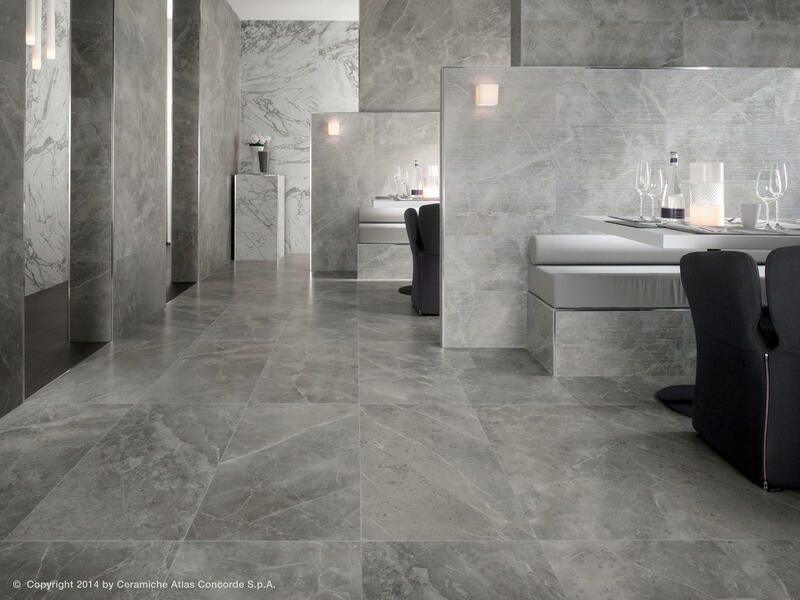 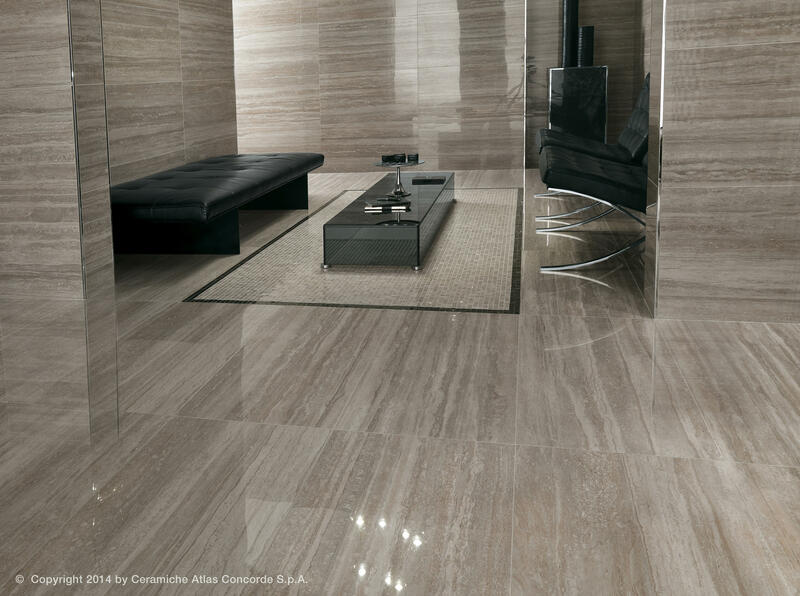 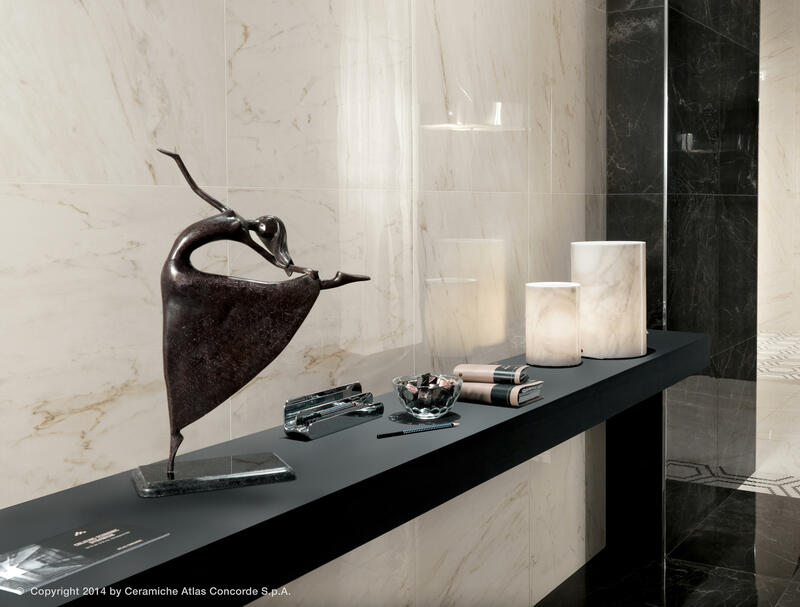 Marvel PRO combines the excellent interpretation of natural marble and the technical features and functional advantages of the best porcelain floors and white-body wall tiles by Atlas Concorde. 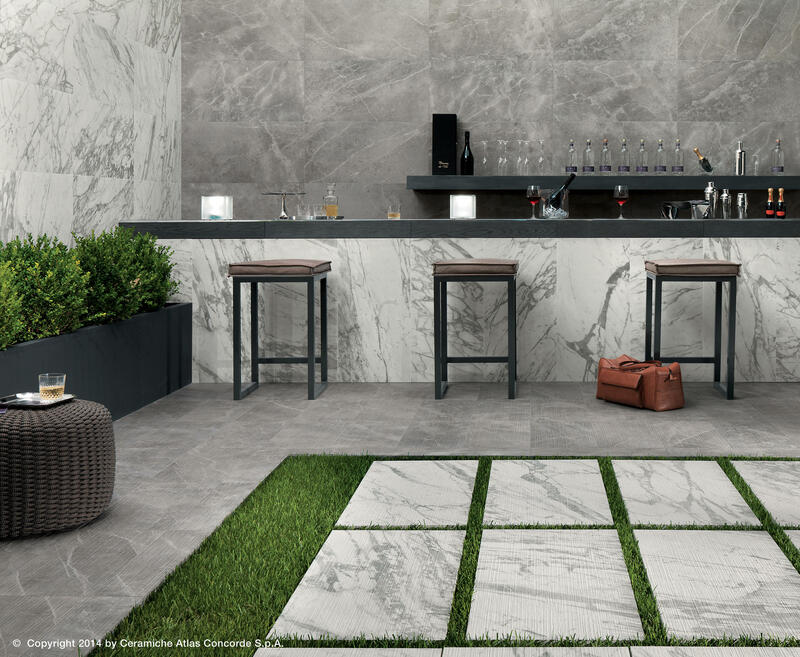 Inspired by natural marble, Marvel PRO porcelain tiles offer a selection of six natural marbles with a marked and refined character, in line with a contemporary interpretation of natural materials in-keeping with the latest interior and exterior design trends. 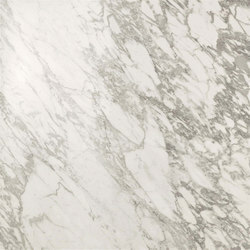 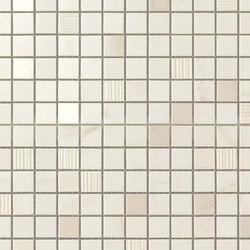 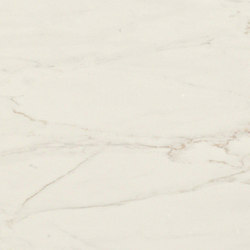 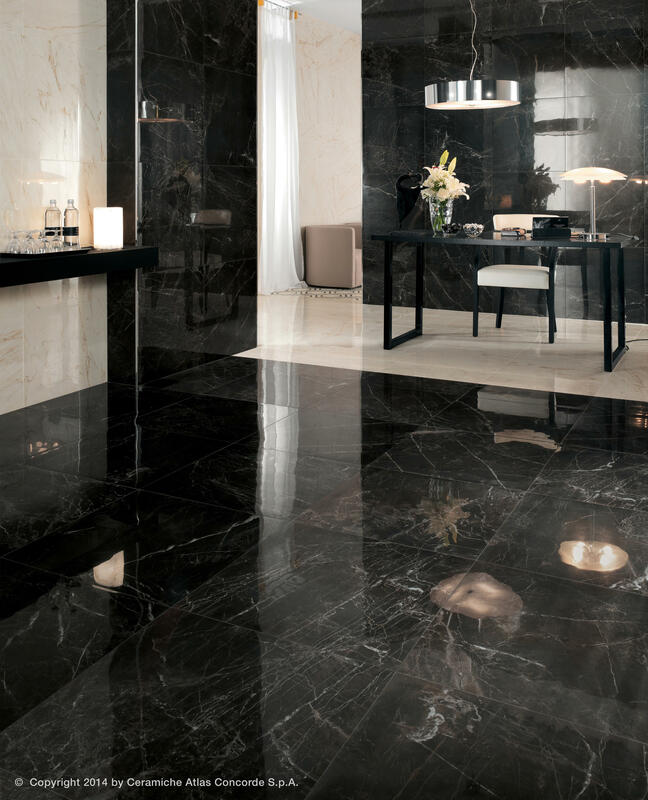 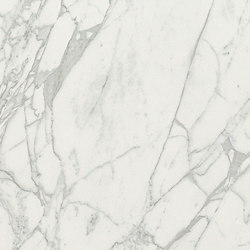 Marvel PRO includes a shiny honed finish, characterised by an extraordinarily brilliant surface that faithfully reproduces the glitter of polished marble and the irregular veining of the natural material, at the same time guaranteeing excellent technical properties in terms of wear resistance and easy maintenance. 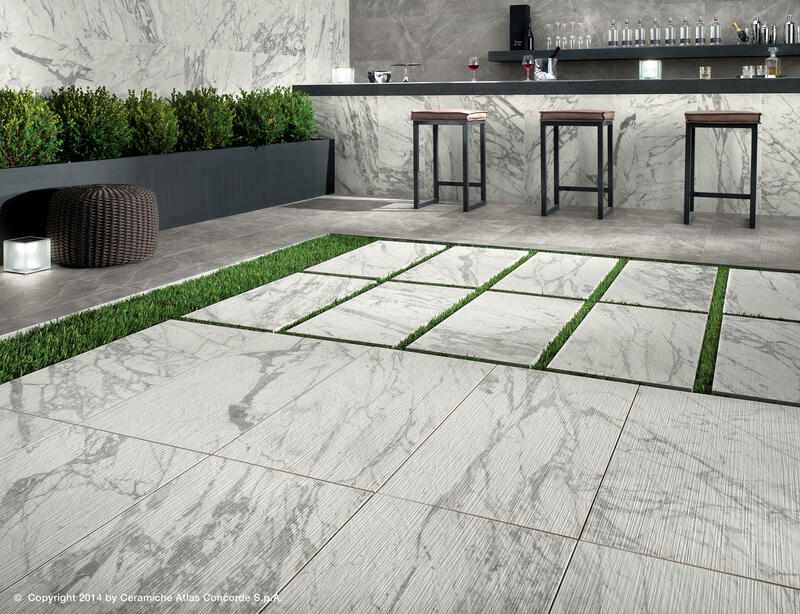 The broad range of sizes stretches to the 75x150 emphasising the planning freedom and enhancing any architectural context with style. 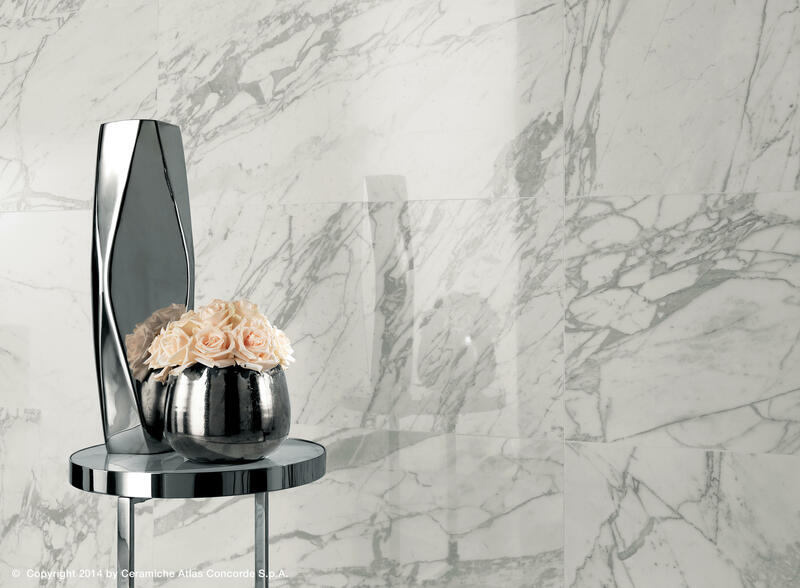 The Statuario Select colour offers a satin finish, a refined satin-effect honed porcelain surface, velvety to the touch and that, thanks to the spreading of a soft and alluring light, creates a sense of naturalness in contemporary spaces. 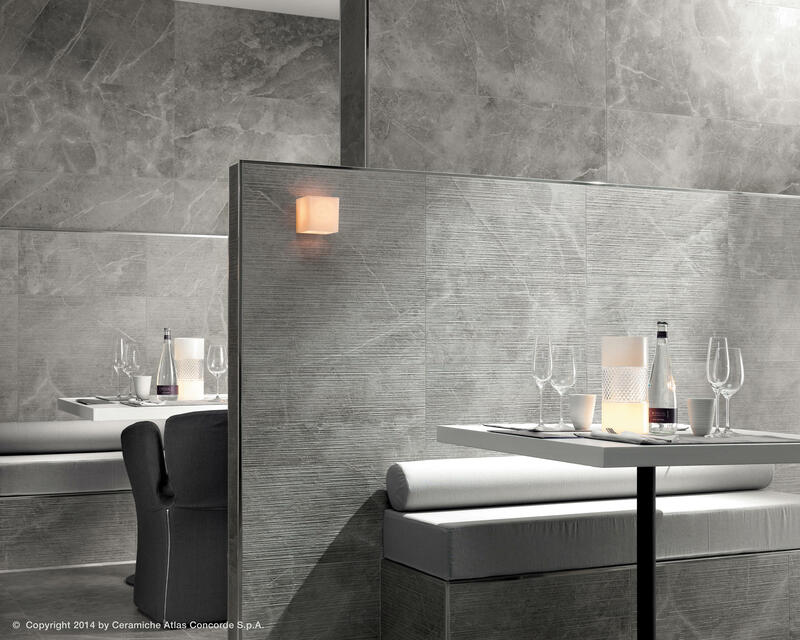 The matt finish is the perfect solution in elegant spaces of contemporary and minimal design, in particular for medium-traffic commercial venues. 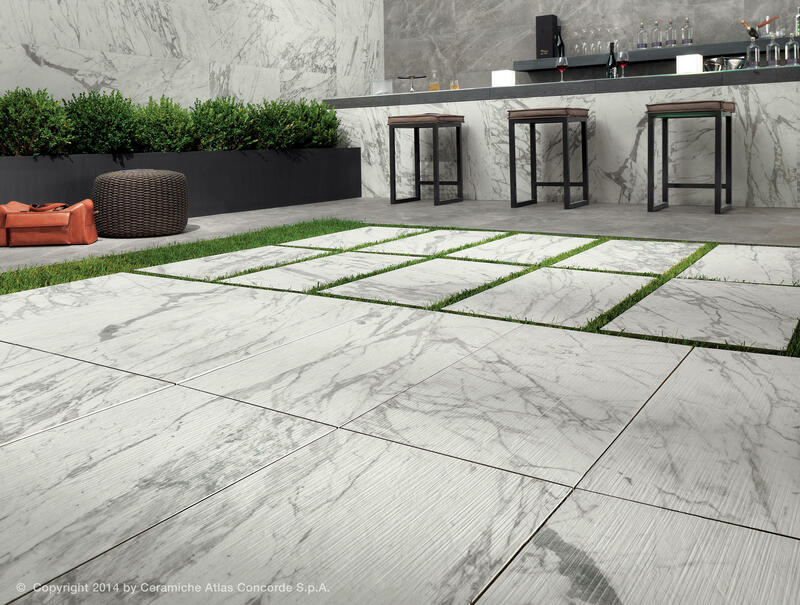 The textured finish reproduces the traditional three-dimensional milling, bringing the fascination of the natural material to the outdoors and to indoor spaces that require anti-slip features, such as spas and areas subject to humidity. 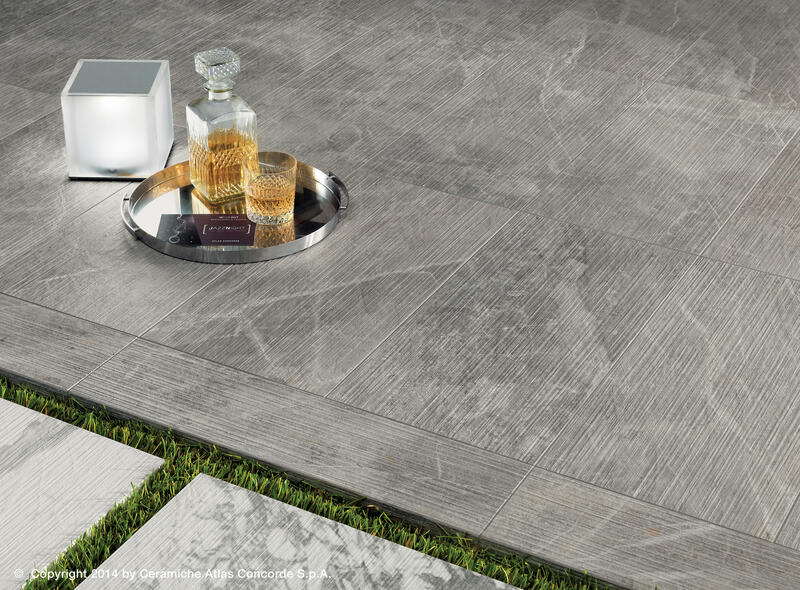 Marvel PRO LASTRA 20mm features the same three-dimensional relief of the textured finish and is perfect for anti-slip safe exteriors requiring excellent technical performance. 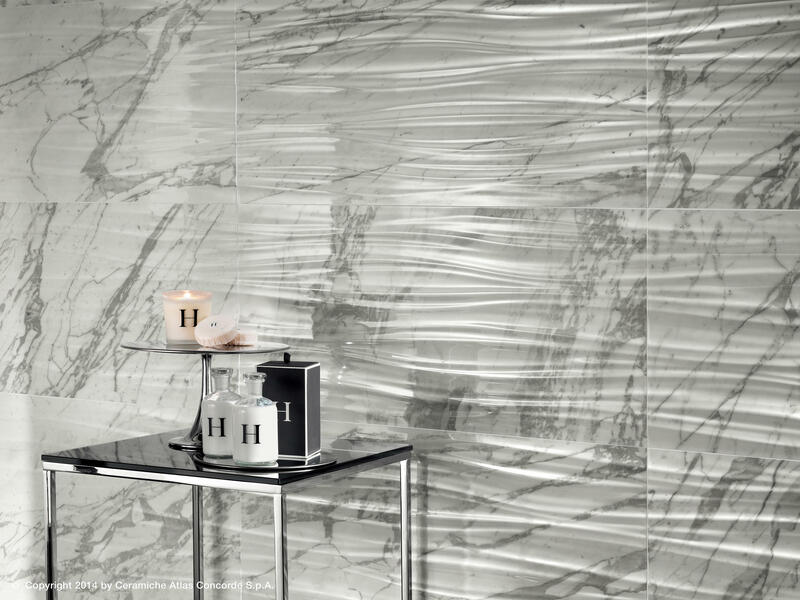 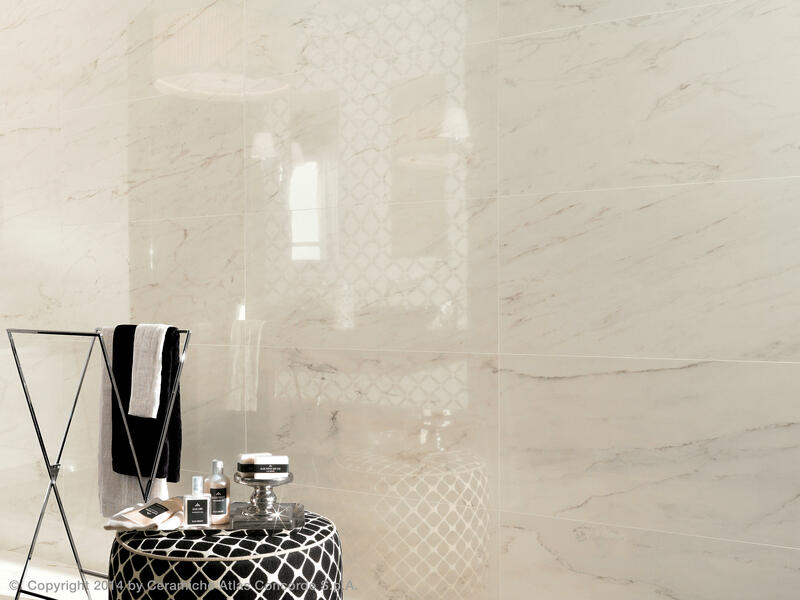 The bright white-body wall tiles of Marvel Pro faithfully reproduce the refinement and chromatic depth of natural marble, sought-after details and rich natural veining emphasise contemporary spaces with style. 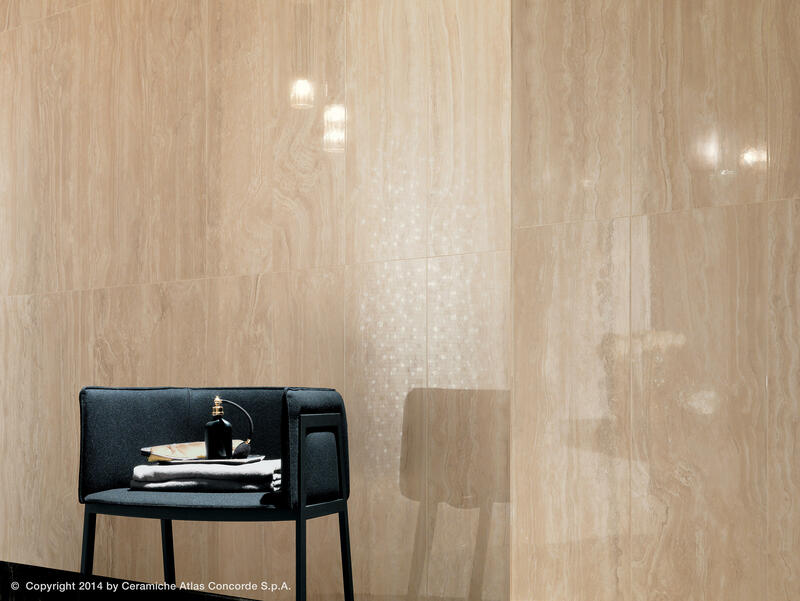 Transparent, intense and bright, the Marvel PRO walls feature a rich thickness of glaze that gives brilliance to the surface, making it glossy and reflective, the absolute protagonist of contemporary architecture. 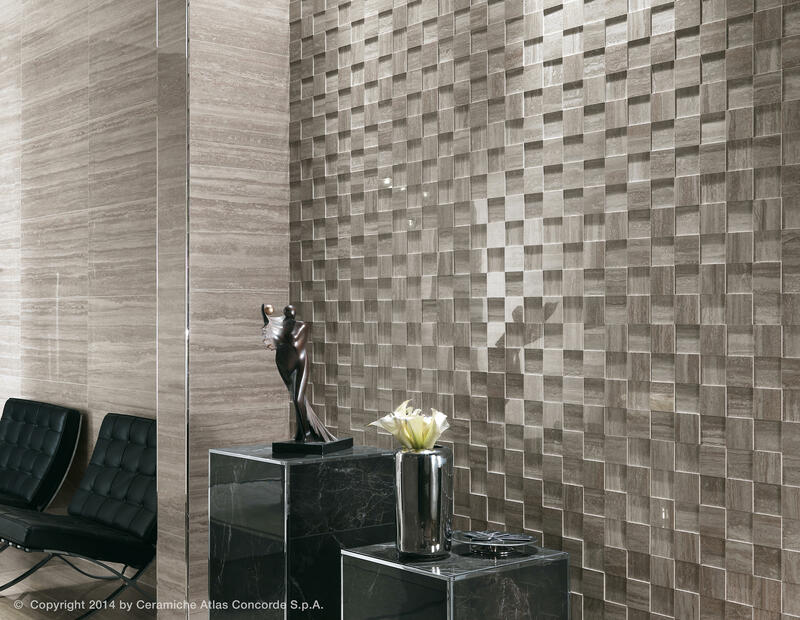 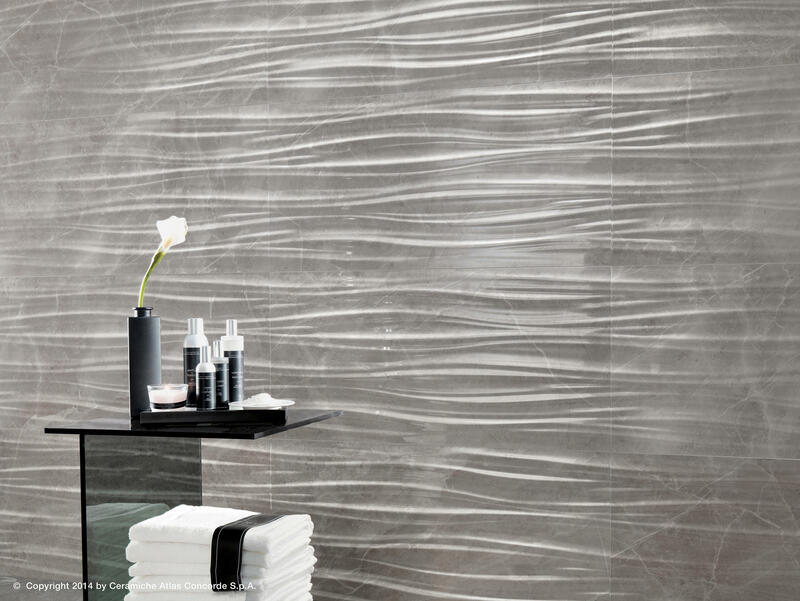 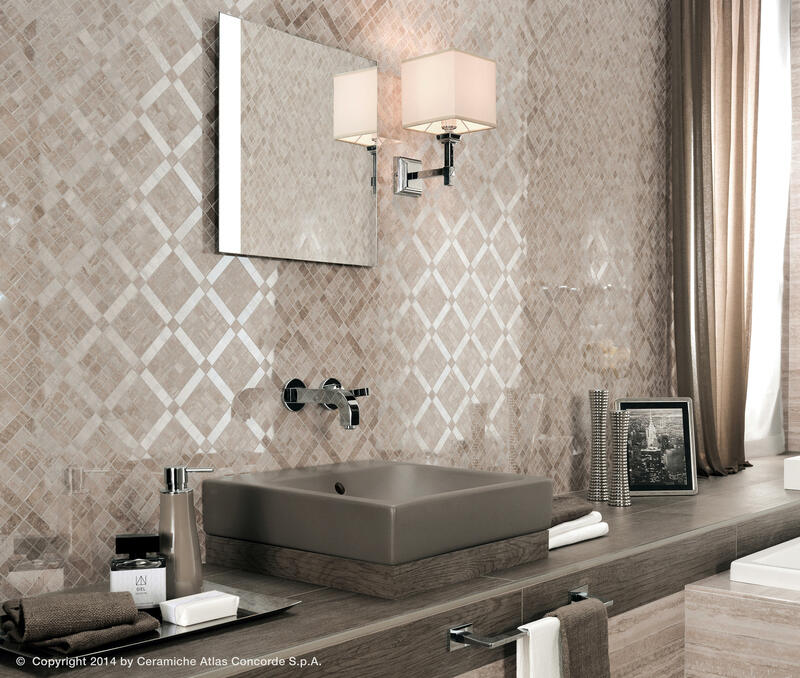 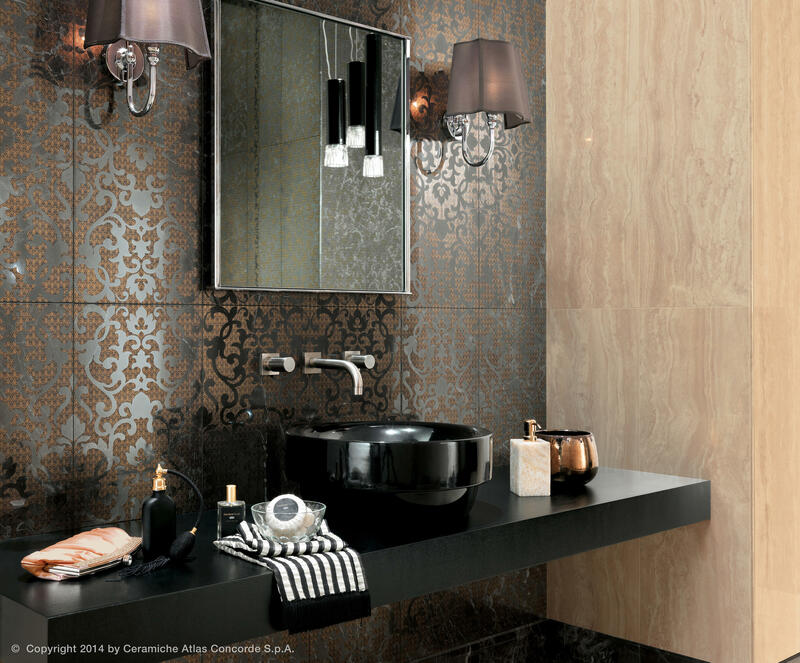 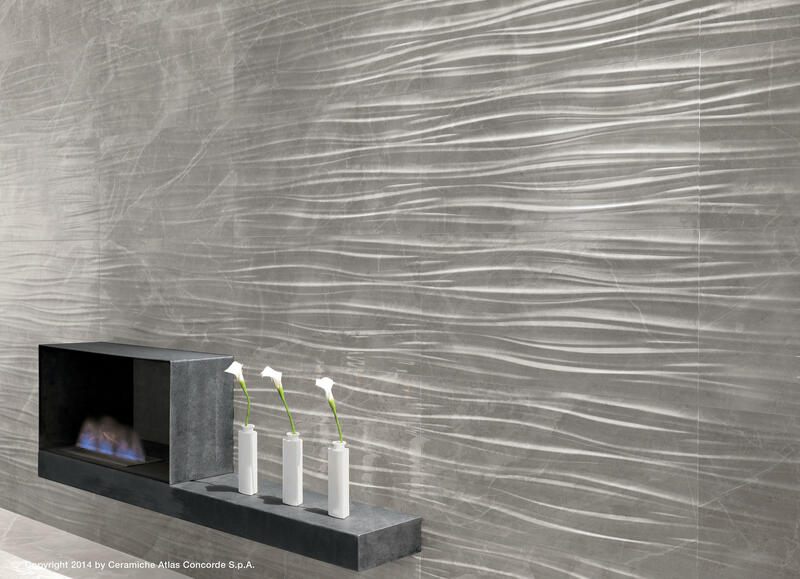 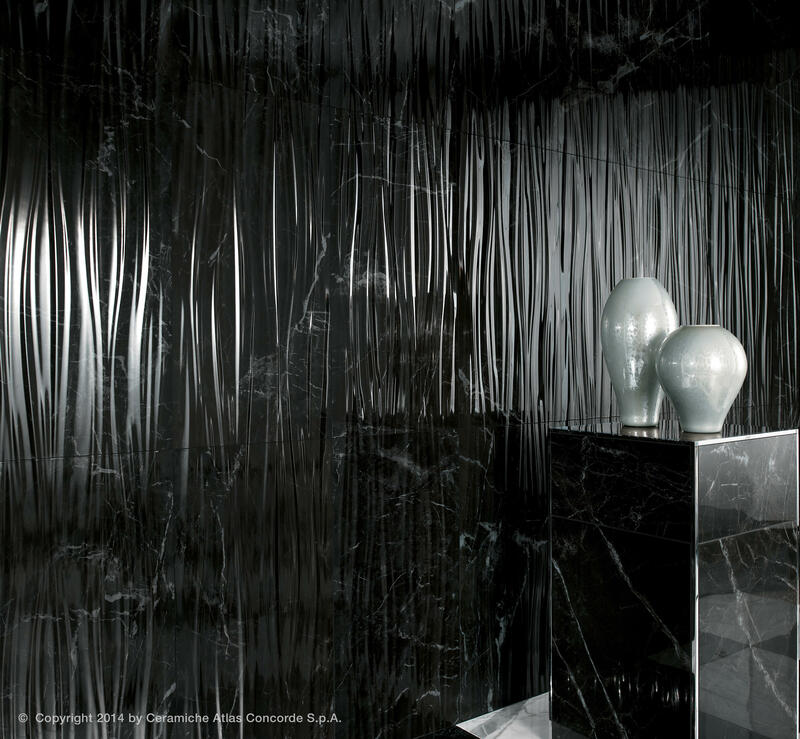 Each slab faithfully reproduces the details and graphic versatility of the natural material, for mirror-like walls rich in personality and expressive power. 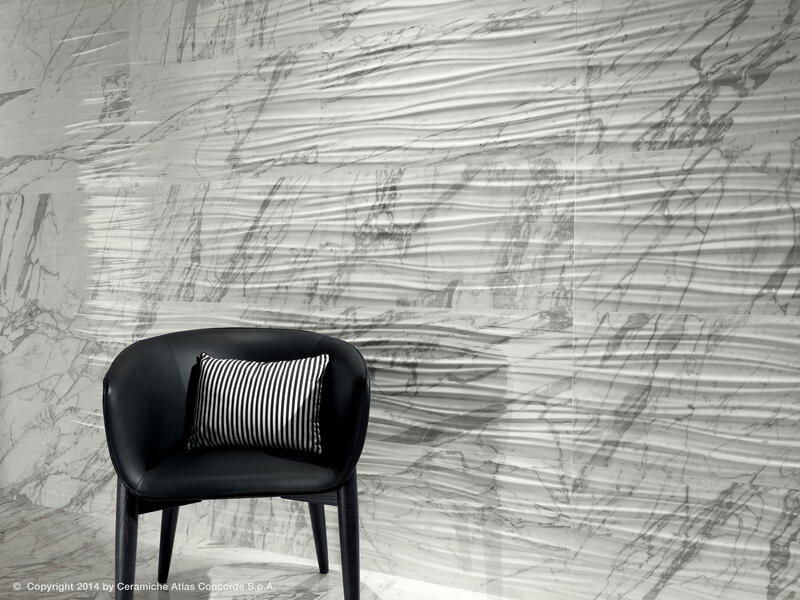 The intense and refined colours create elegant compositions in single tint or black and white contrast effect for a timeless contemporary taste. 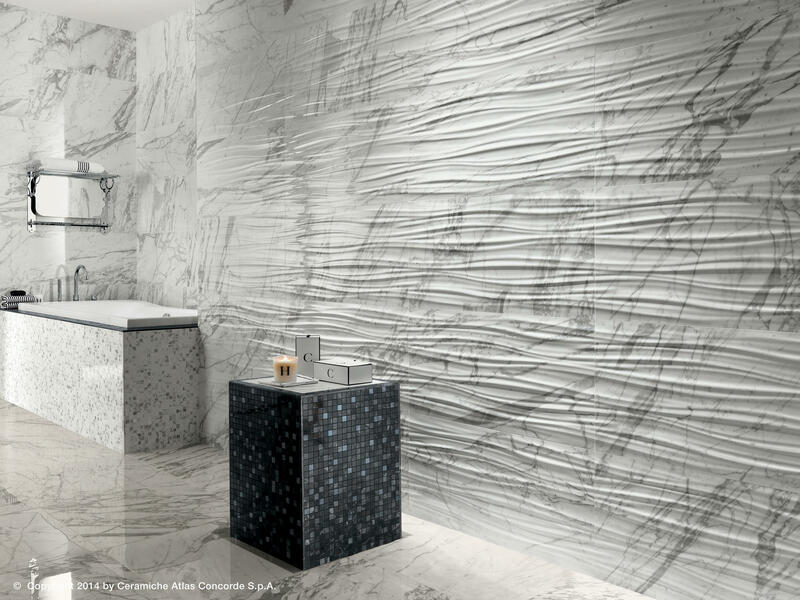 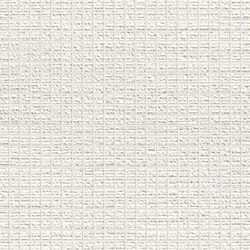 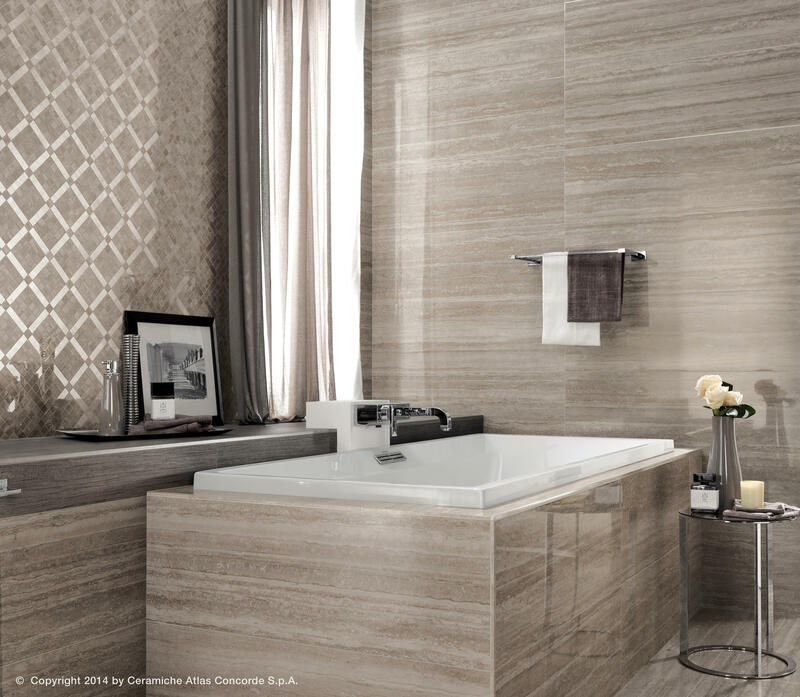 The two large rectified sizes, 40x80 and 30.5x91.5 enhance the appeal of surfaces in commercial and residential application such as bathroom walls. 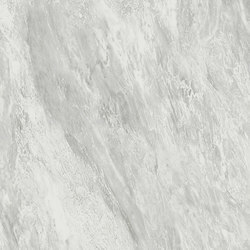 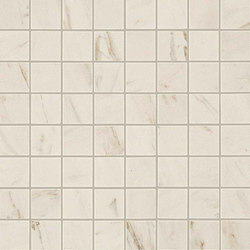 Marvel PRO includes an innovative three-dimensional finish in size 40x80 that adds great decorative potential to the marble-effect surfaces. 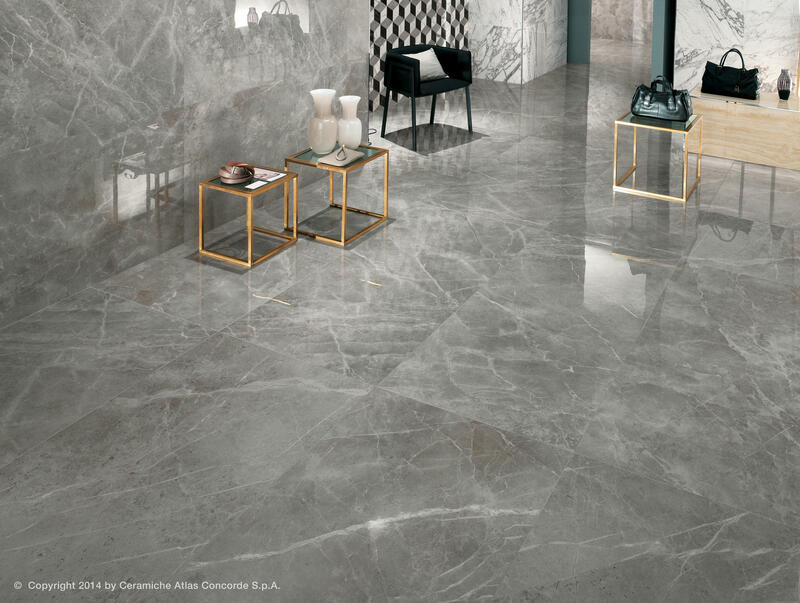 The result of a careful research aimed at enhancing the aesthetic power of marble, the refined decor range, rich in modern and precious offers, multiplies the planning potential of the collection, for interior decoration in line with the latest contemporary trends. 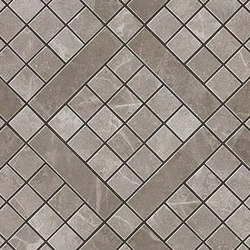 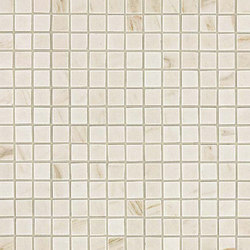 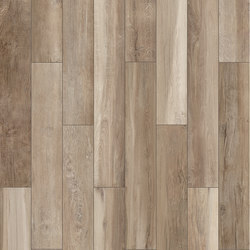 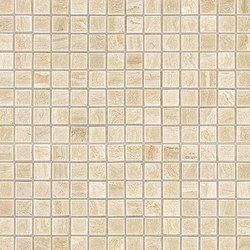 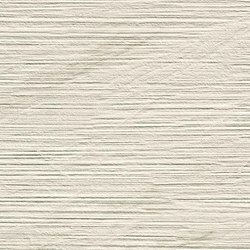 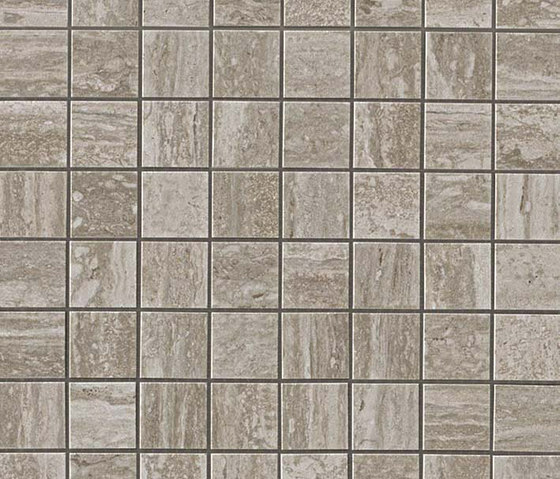 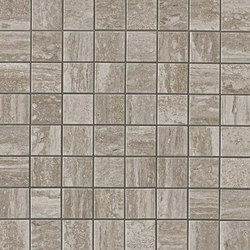 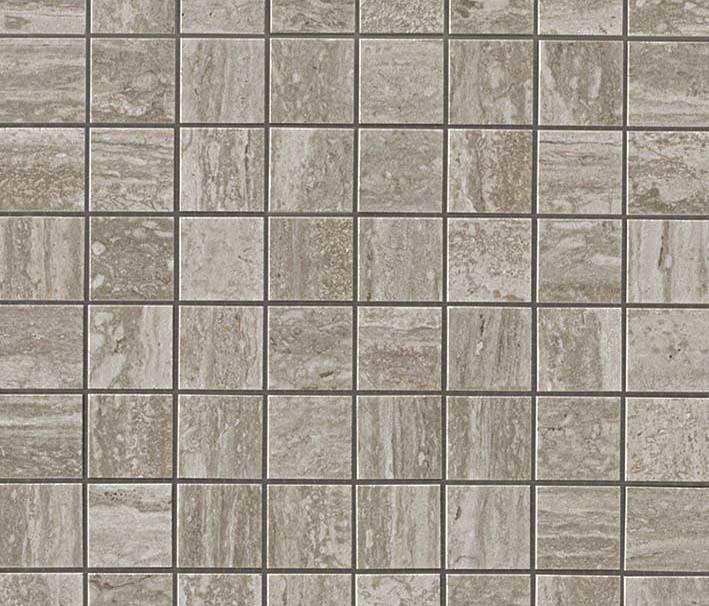 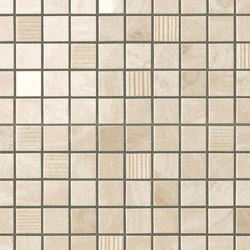 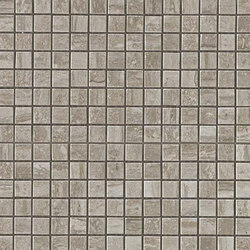 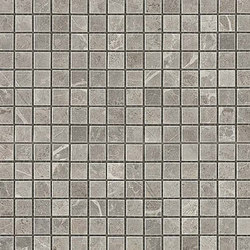 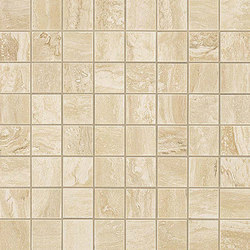 Sizes (cm): 75x150 Honed; 75x75 Honed; 45x90 Honed, Matt, LASTRA 20mm Textured; 60x60 Honed, Matt, Satin, LASTRA 20mm Textured; 30x60 Honed, Matt, Textured. 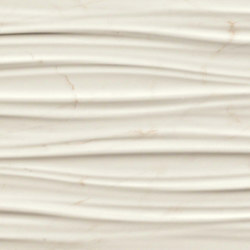 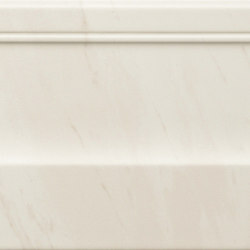 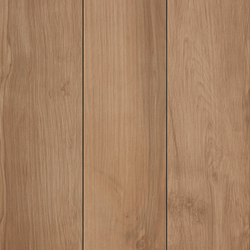 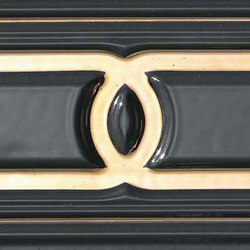 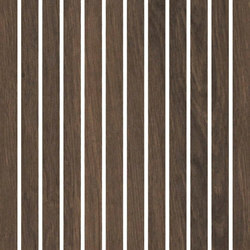 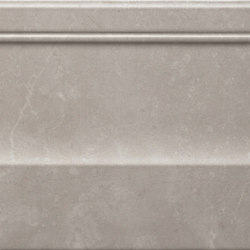 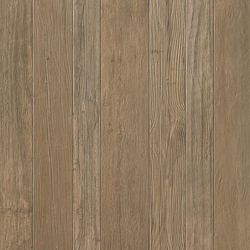  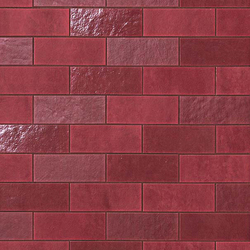 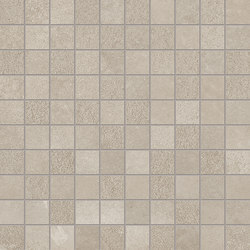 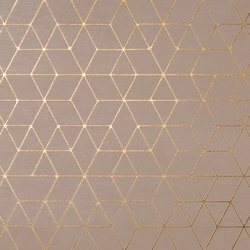 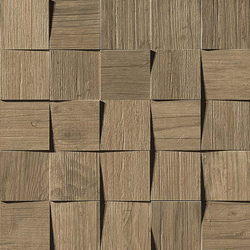 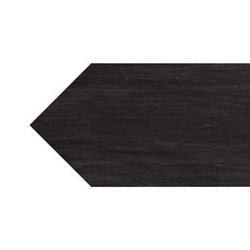 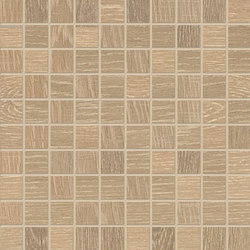 Surface finish: Honed - Matt (R9 A) – Satin - Textured (R11 A+B) - Textured LASTRA 20mm (R11 A+B+C). 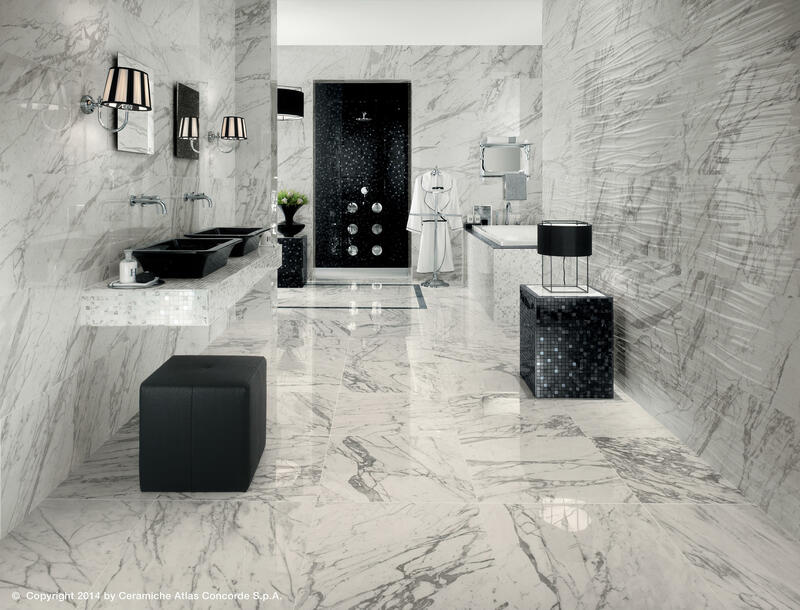 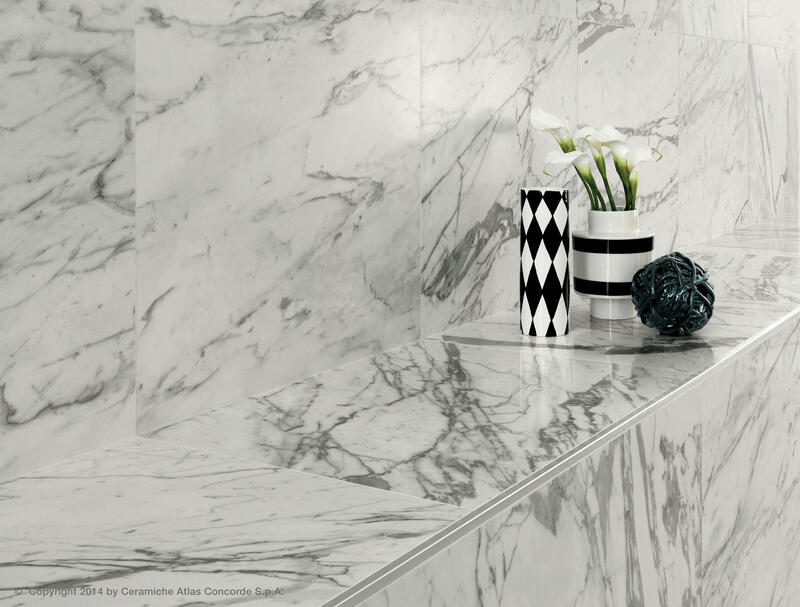 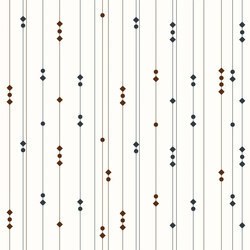 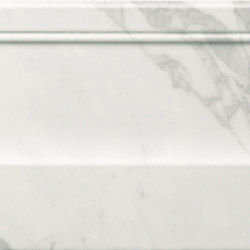 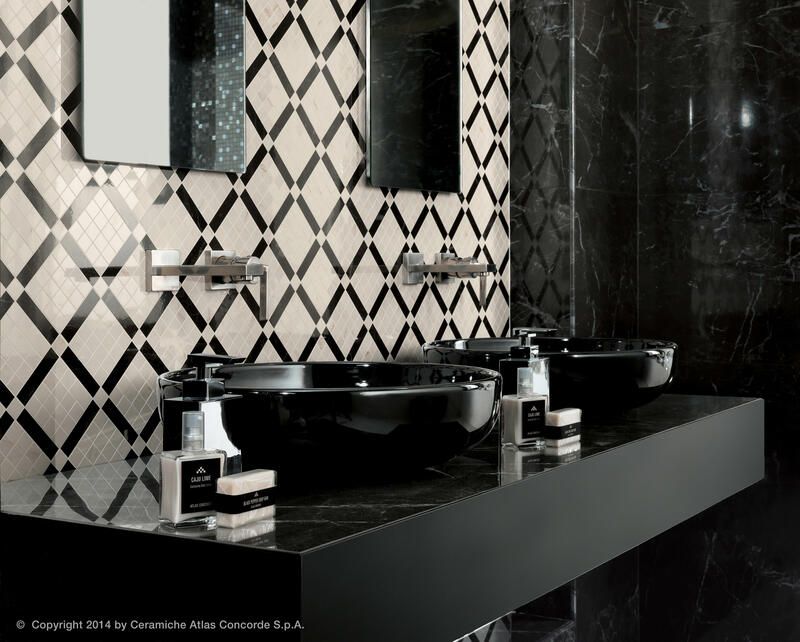 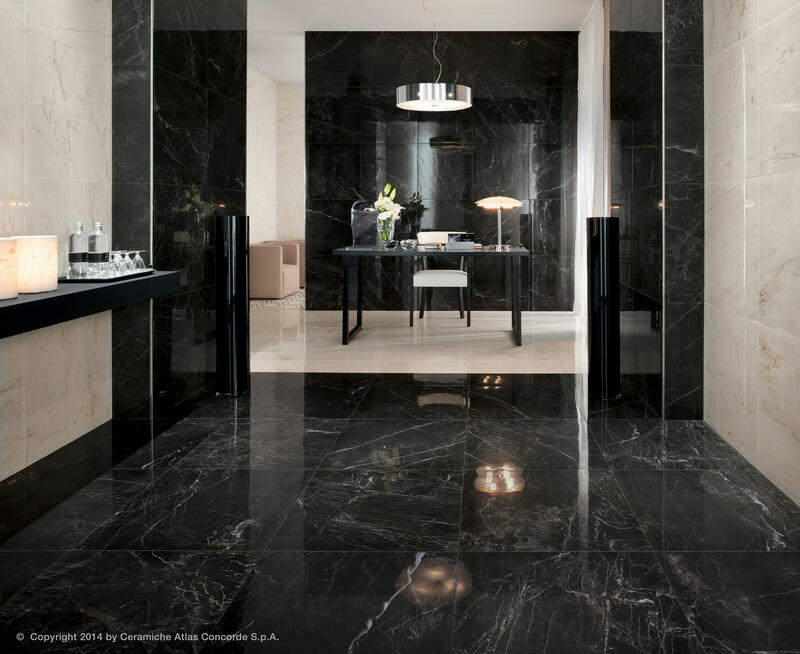 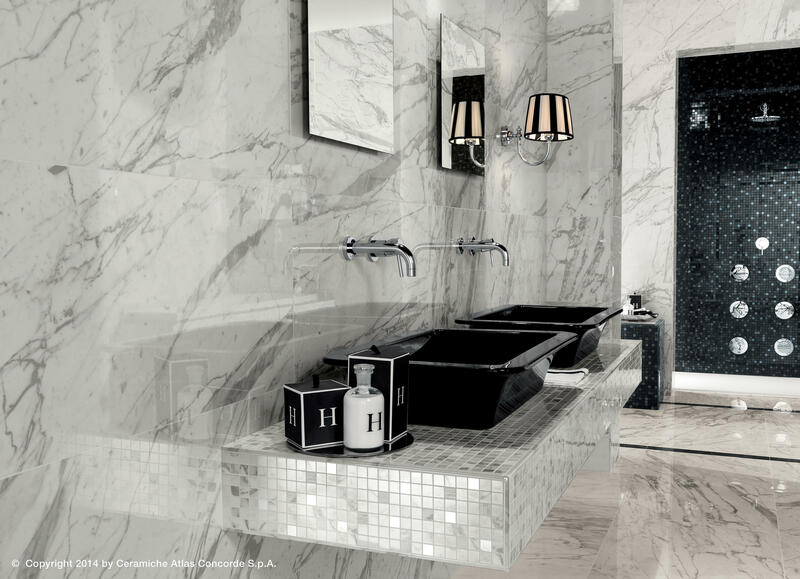 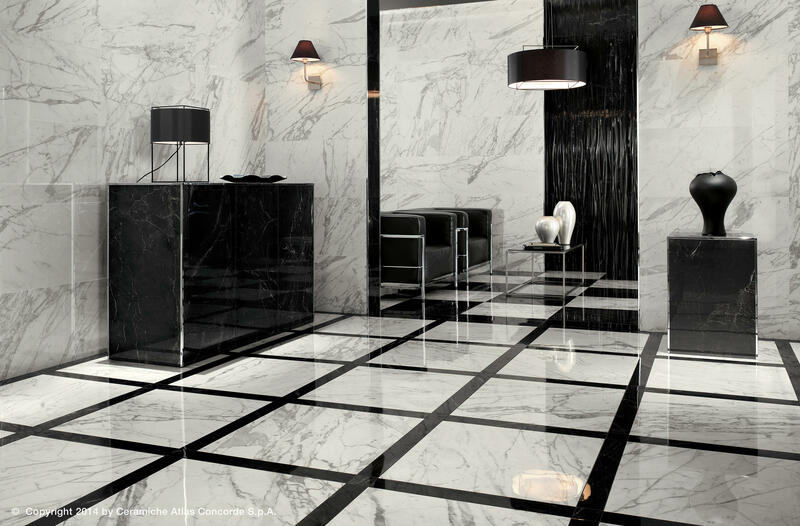 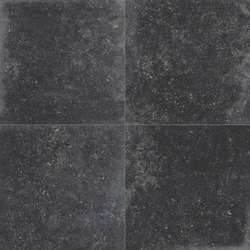 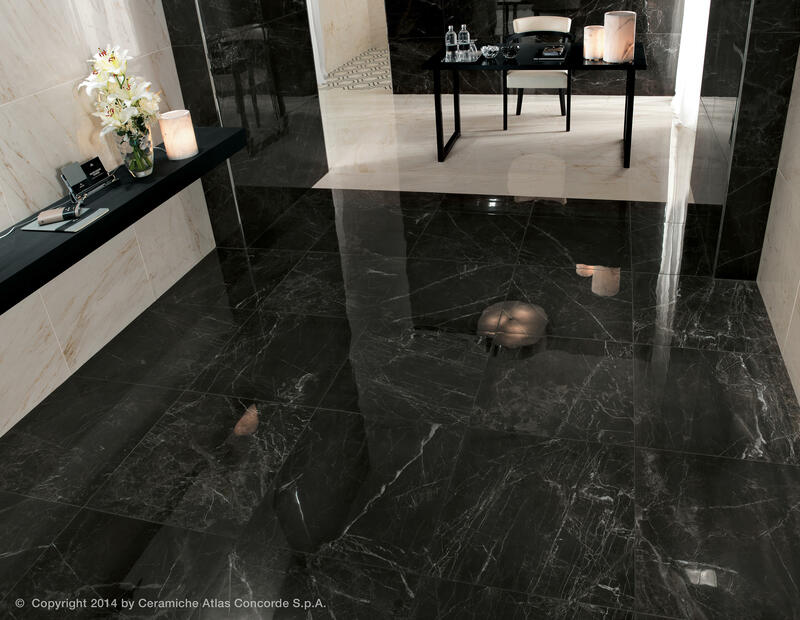 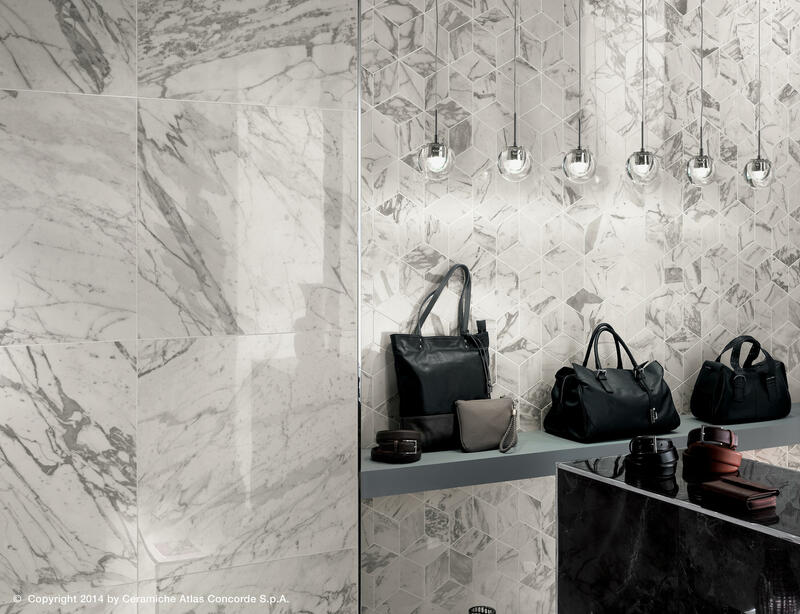 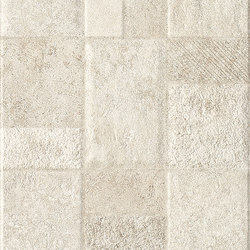 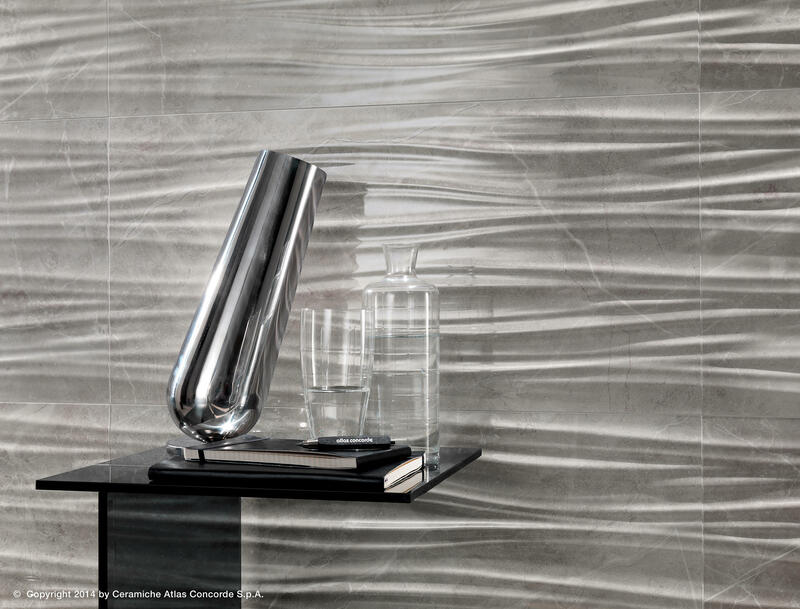 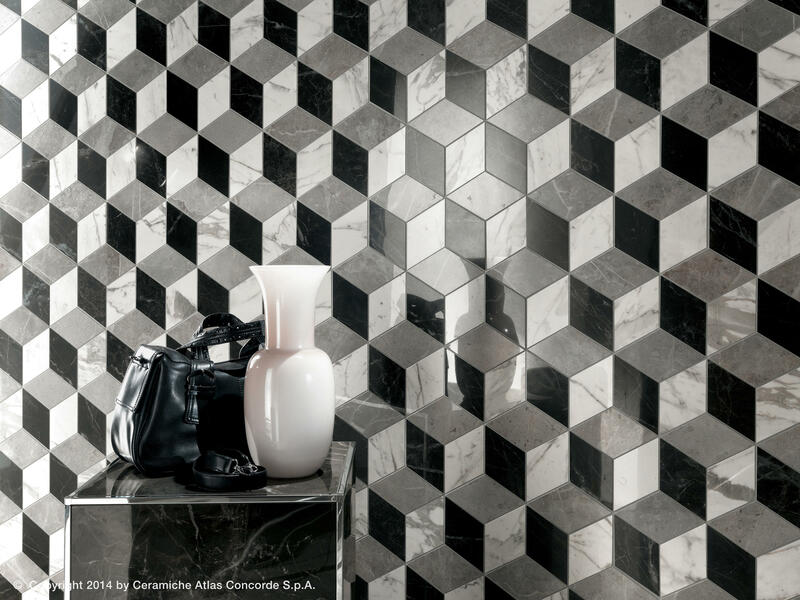 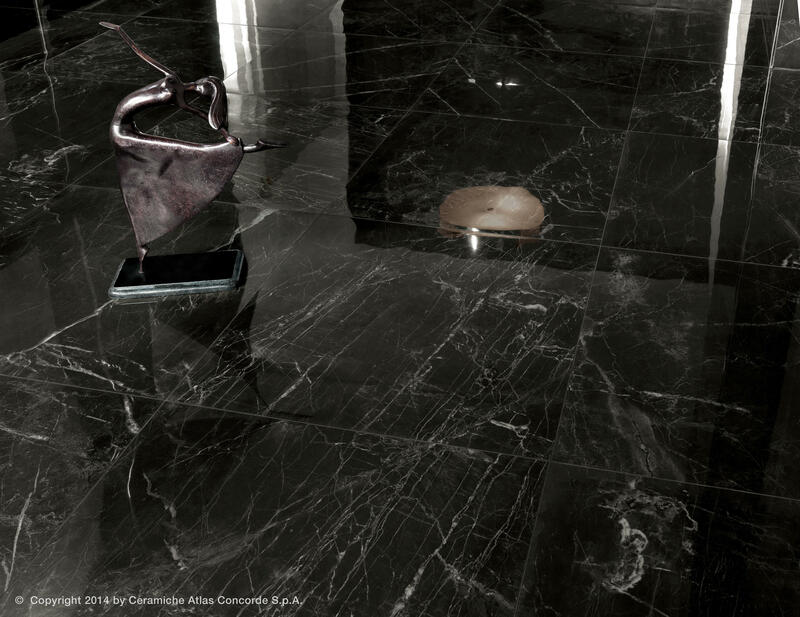 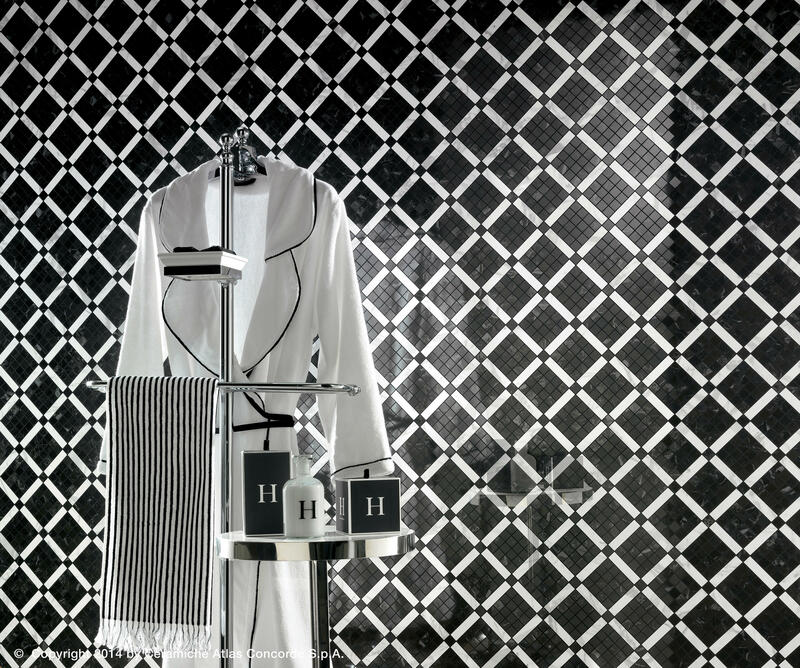 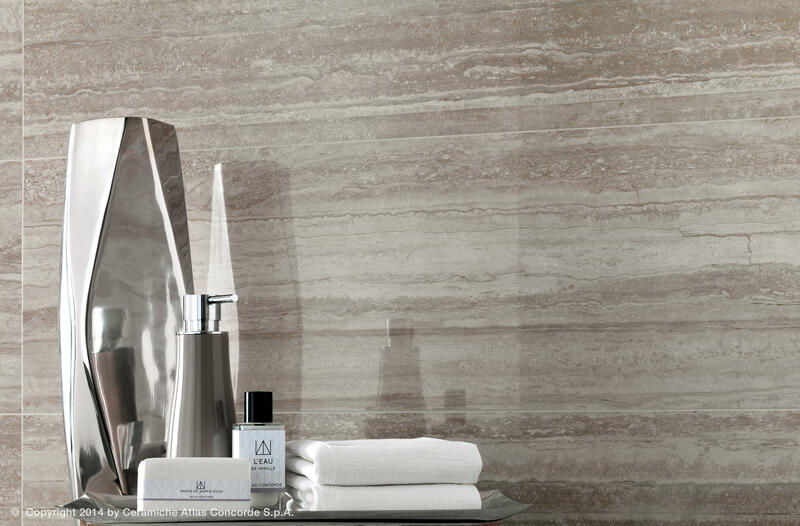 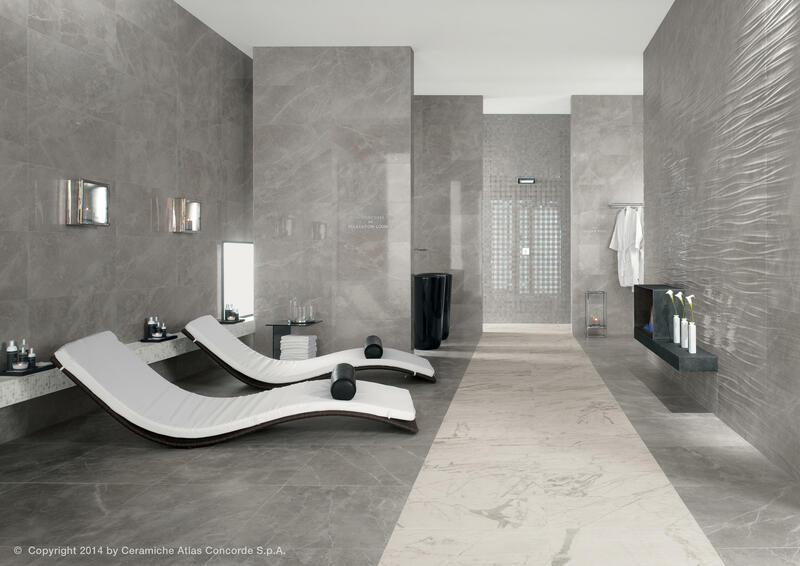 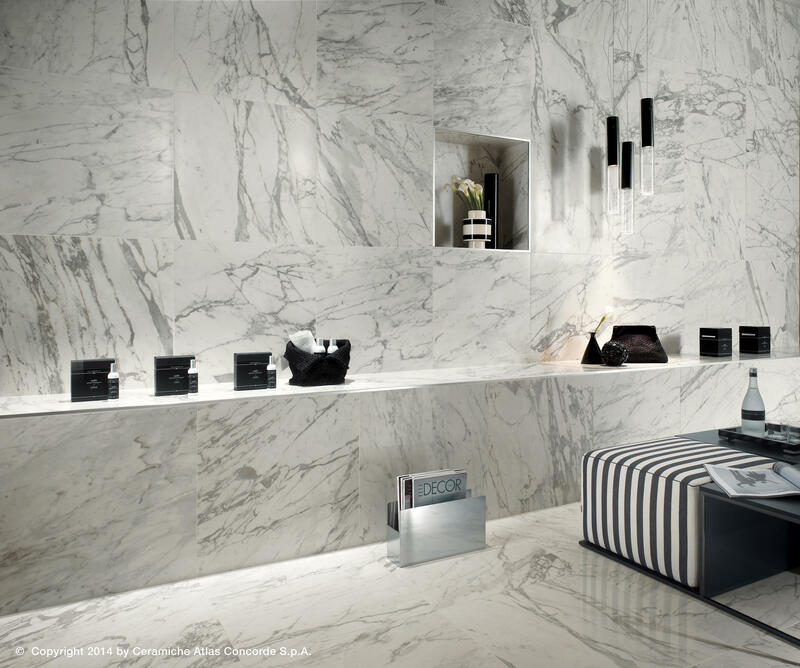 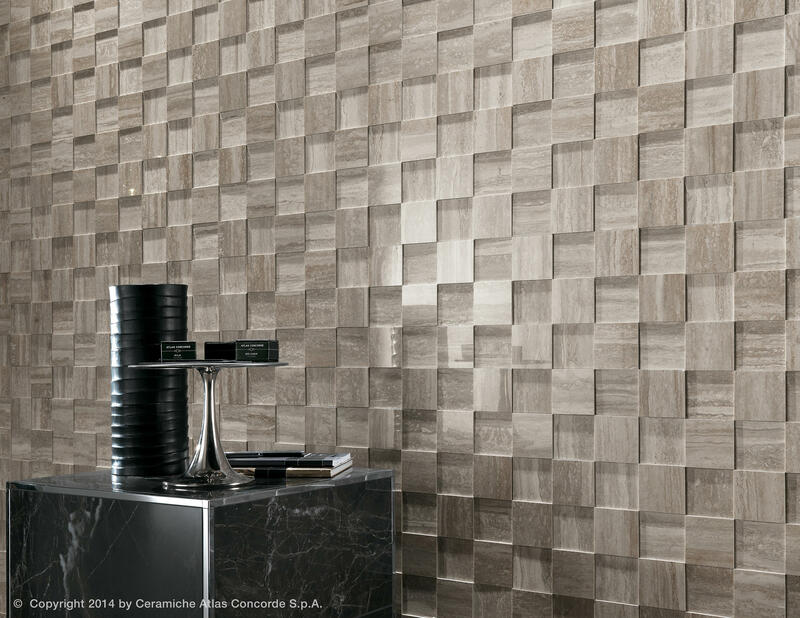 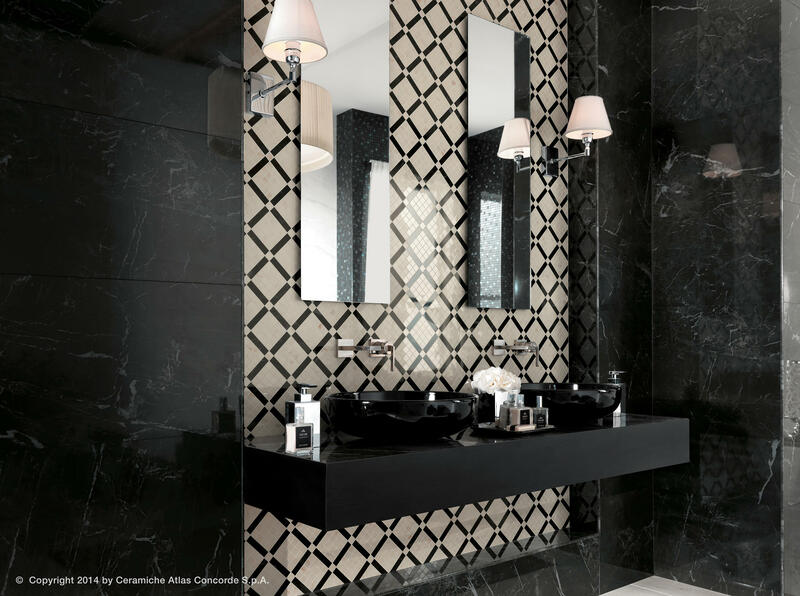 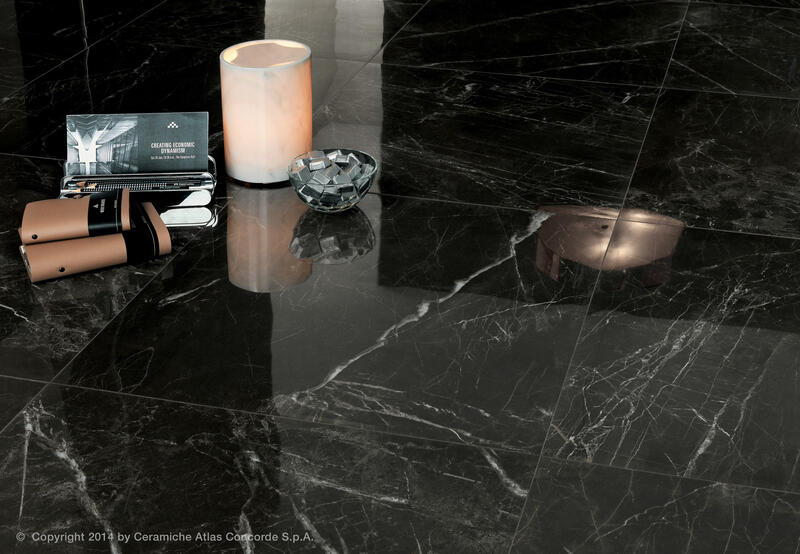 Colours: Statuario Select, Cremo Delicato, Travertino Silver, Travertino Alabastrino, Grey Fleury, Noir Saint Laurent.